I own and drive a French car. My first French car was a Peugeot 505 and I didn't keep it very long because it was riddled with electrical issues that were the sort that if you left the battery connected it could simply go on fire. But there was something wonderful about it (when it ran correctly which wasn't very often) that I connected with, it was quirky, but had features that were very clever and it handled like nothing else. So with the next few cars in my life I missed the quirkiness and they all felt ordinary (i.e. boring) compared to the 505. So when I bought my current Peugeot 406 I pulled it apart in front of its previous owner to make sure it was solid... It was and I have had it now for 13 Years. I can't sell it, because what would I replace it with... something boring. It is a French thing, a sort of "je ne sais quoi" as you can't really put your finger on it, but it's just different and not of the everything else. And so are aircraft the same... 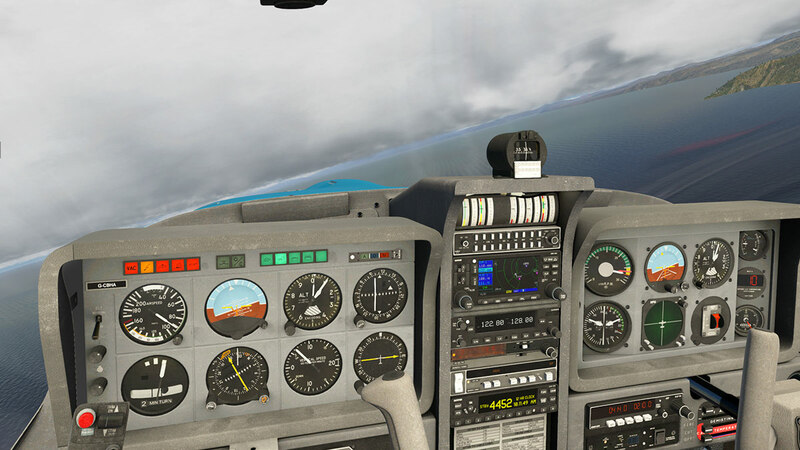 I think so, the Airbus A320 is very different from the Boeing 737 and yet they do exactly the same thing. 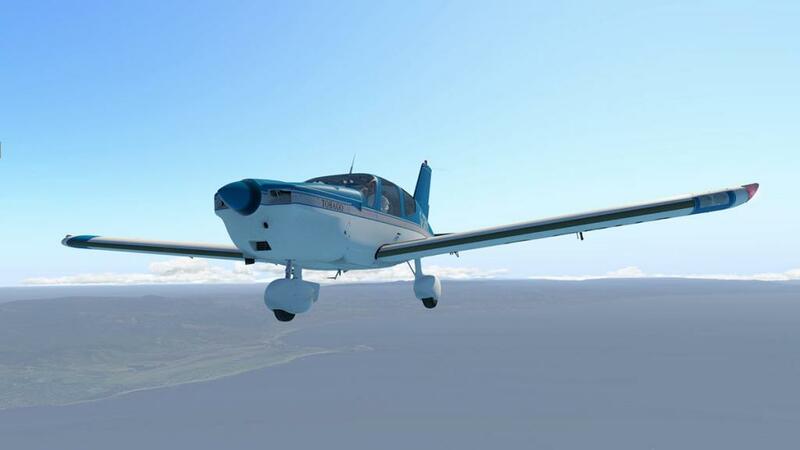 In general aviation the American aircraft have totally dominated the genre for decades, but a few European designs have also done very well. One is French in SOCATA (Societe de Construction d'Avions de Tourisme et d'Affaires) with their Rallye family (3,300 sold!) and in the early 70's they wanted a bigger aircraft than the Ralle for the very lucrative four-seater market, or in other words to "Take on the Yanks". The current Rallye could actually squeeze in four people, but it was in reality only a two seater and its performance and the range was small. 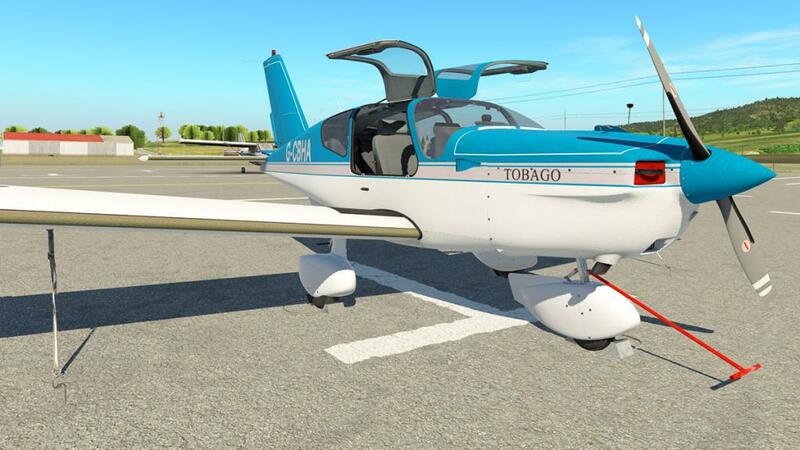 This resulted in the TB series or as they have become known the "Caribbean Planes" as all the aircraft were named after Caribbean Islands, TB by the way is designated by the city of Tarbes, the French city as where the aircraft is manufactured. 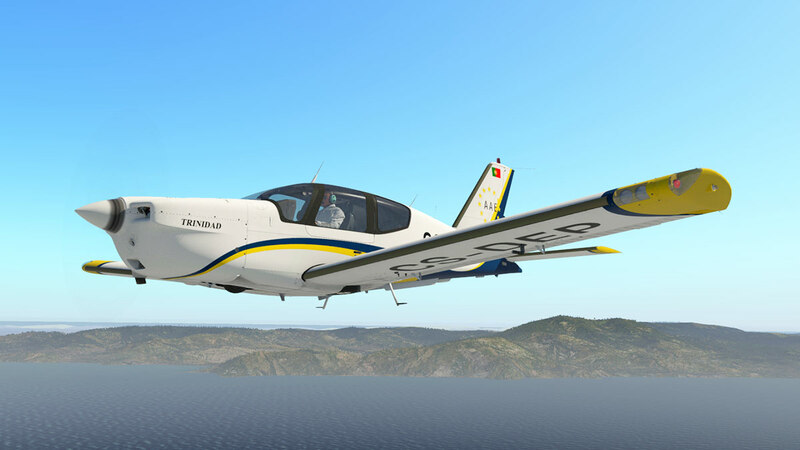 As with the Rallye the TB Series was just as successful with over 2,150 aircraft built, the last aircraft produced was in the early 2000's as sales dropped off after the 9/11 event, but many are still flying and the aircraft are immensely popular. 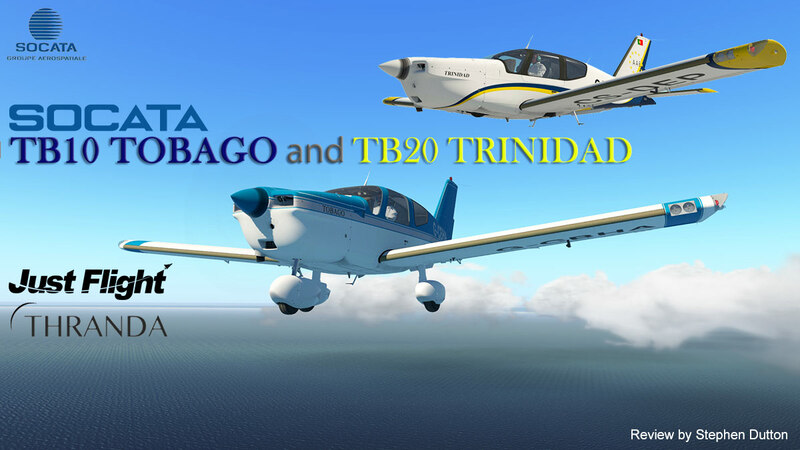 So here is from JustFlight and Thranda their second type of X-Plane aircraft release after the Arrow lll/lV series with the TB10 Tobago and the TB20 Trinidad. 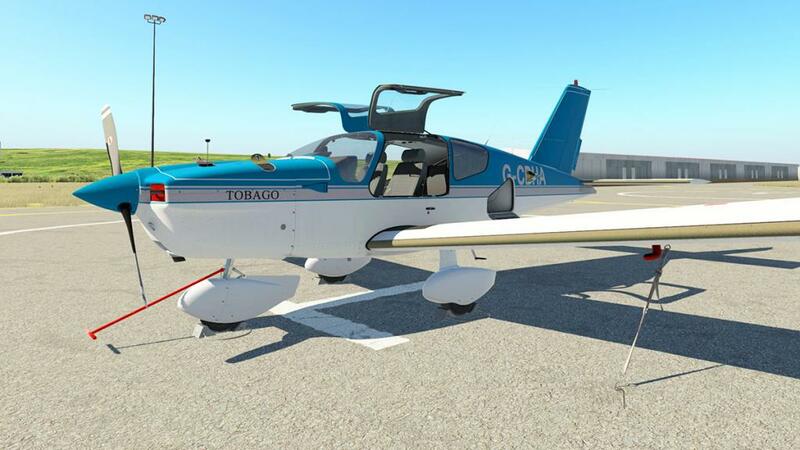 The differences are small, but the Tobago is the earlier 180 horsepower (134 kW) fixed wheeled version and the Trinidad is the later more powerful 250 horsepower (186 kW) aircraft fitted with retractable tricycle landing gear. The aircraft is a 1975 era lovely all-metal, cantilever low wing, single-engine aircraft design, with a quite wider than tall cabin at 49 inches (124 cm) at the shoulder, plus or minus. 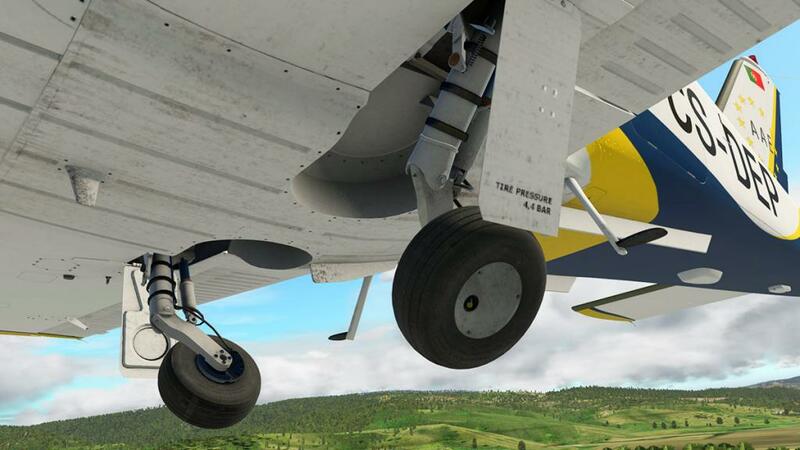 In part, this is due to the fuselage having a pronounced "round out" above the wing. 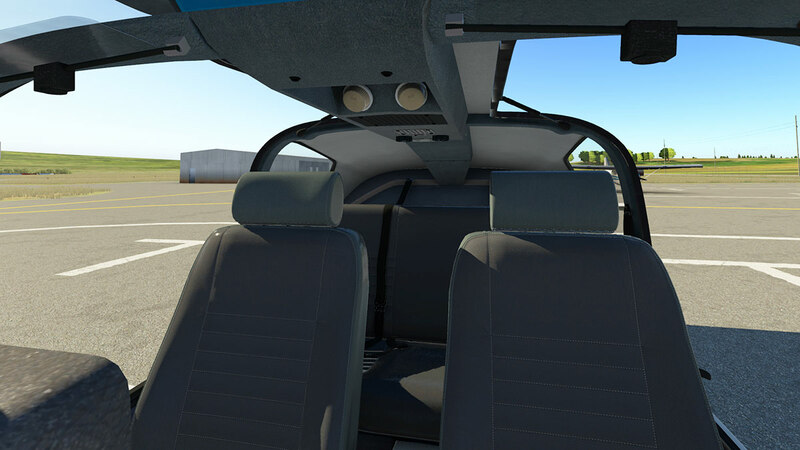 Adding in to the actual spaciousness, the side windows extend up well into the roof line, giving the Socata a very airy feeling inside and that it can also (squeeze) in the rear seat three passengers across a bench seat. This wider cabin does however come with a few negatives in weight and speed compared to a similar American design, but owners have reflected that it is minimal tradeoff to the light, nice handling and the overall general comfort that the aircraft provides. 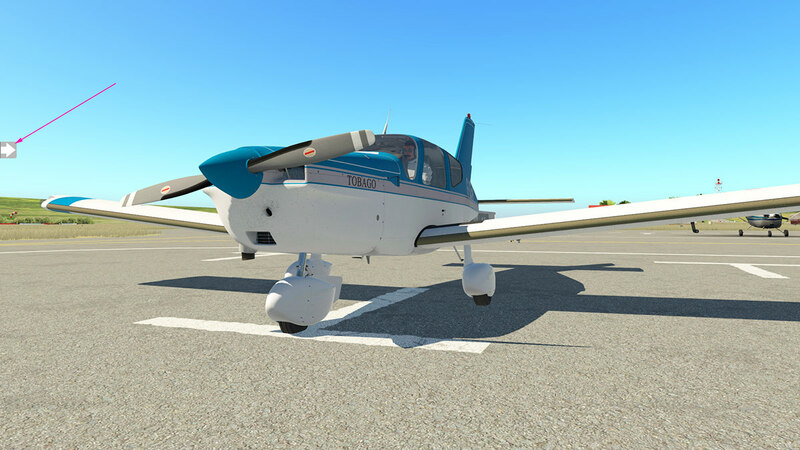 The TB10's 180 horsepower (134 kW) Lycoming O-360 piston engine gives the aircraft a top speed of VNE of 165ktns and VNO cruise of around 128knts. 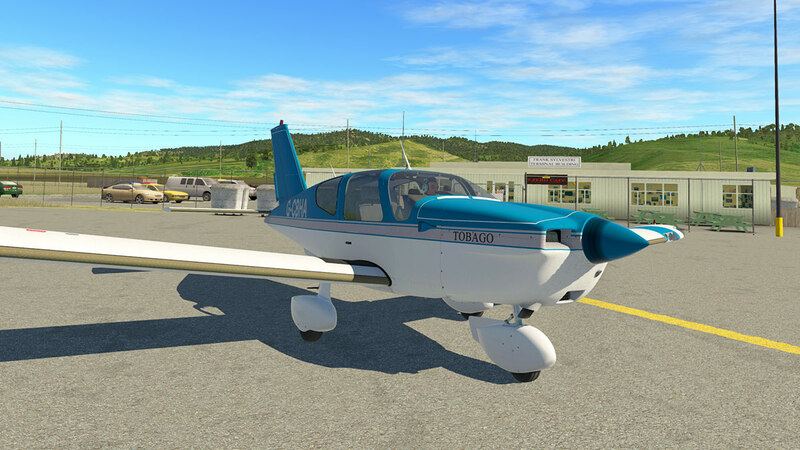 The Trinidad came along five years later with the more powerful 250 horsepower (186 kW) Lycoming IO-540 six cylinder piston engine, and was fitted with retractable tricycle landing gear. Weight was up 100kgs to 800kgs (empty) but VNE was now 187knts and VNO cruise was up to 150knts, service ceiling was up to 20,000ft (from 13,000ft) and the range was extended out from 697nm to 1,100nm. 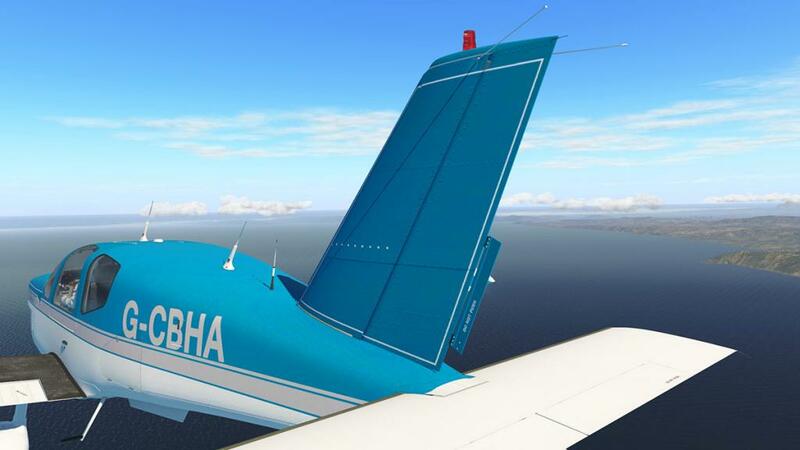 You get both aircraft in the JF/Thranda package and the type version is selected via the choosing of the livery, of which there are six liveries for each of the different aircraft type. 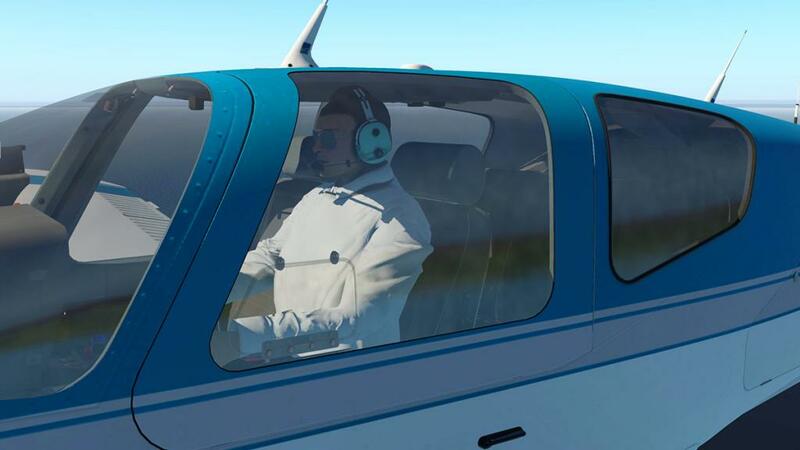 A note in that the personal settings you set for one are then available in the other, so you don't have to do your settings twice for each aircraft. 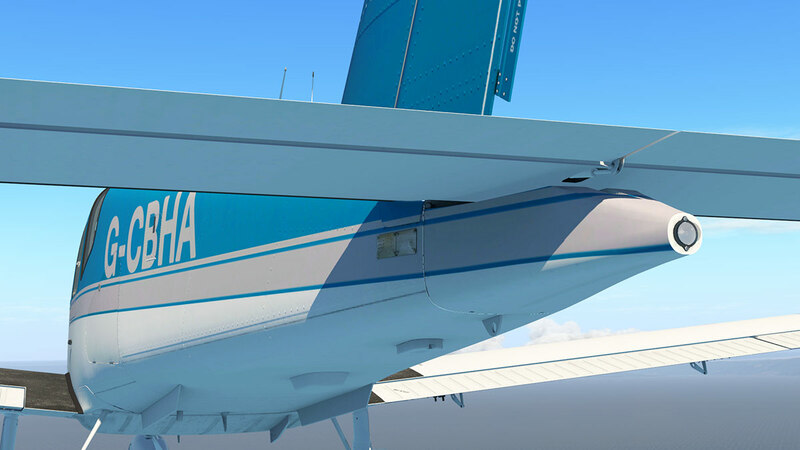 Another note on this aircraft selection setup in the X-Plane replay still also views the aircraft as one .acf load and not separate individual loads? So you must make sure that the aircraft you want to replay is the same aircraft you saved the aircraft in and the aircraft version is currently viewable in X-Plane, or you may get the wrong aircraft in the replay? 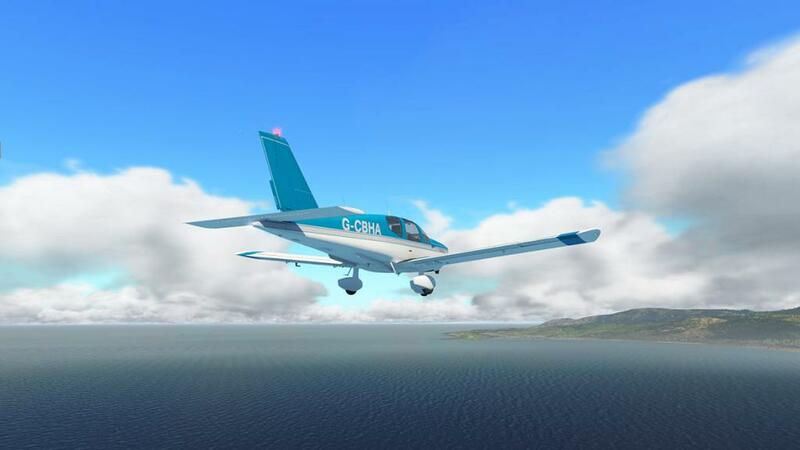 This is originally like all of JustFlight's aircraft a FlightSim/P3D design converted to X-Plane (by Thranda), so it is not a pure X-Plane construction, but like with the Carenado's we sort of get the best deal of the two simulators because of the use of X-Plane's more dynamic features and lighting. 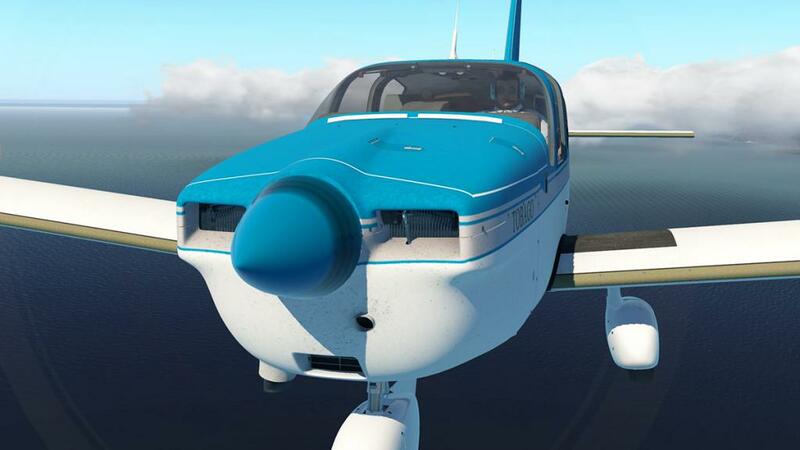 That said the aircraft is more of a semi-matt finish than a gloss exterior and this does give the aircraft a more FS feel overall than pure X-Plane, as the Arrow lll had a very nice glossy feel to it, it then felt more of the other way around. Detailing is however outstanding of which at this price it should be, but it is very good with a lot of wear and tear well produced here. It does feel very high mark Carenado than most, but that is not a bad thing. All riveting and panel design is first rate, but the highlight is the glass, here it is beautifully formed and reflections are about as perfect as you could get. I like the aerodynamic fences just in front of the windscreen, which is great detail, as are the row of HF and VHF Antenna on the roof. 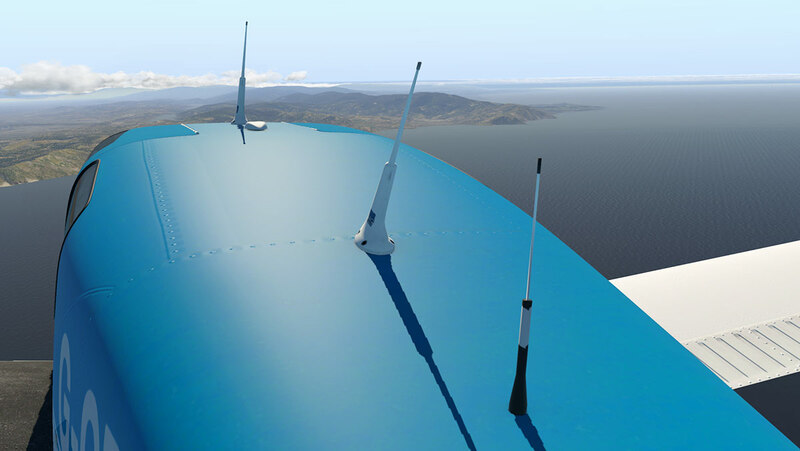 Tail is highly detailed and again with an addon aerodynamic device. 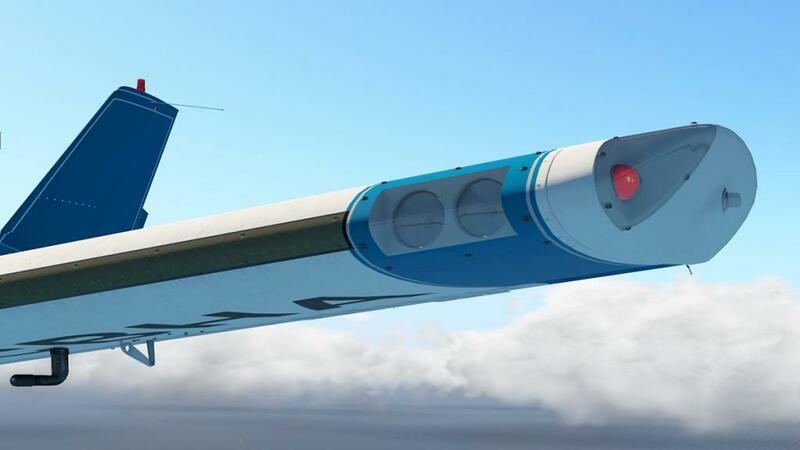 Lower tailplane is really a one single (large) wing rightly positioned across the tail and is very effective, detailing again is excellent with rear navigation light and aircraft build plates under the tailplane. 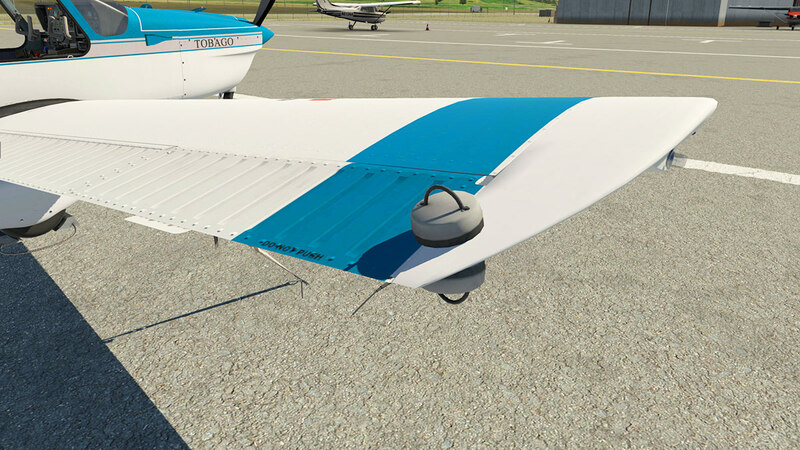 End of wing lighting assemblies cover landing and taxi lights, navigation and the well modeled globe strobe light, under wing is well constructed with even the bolts protruding out of the wings ... impressed. 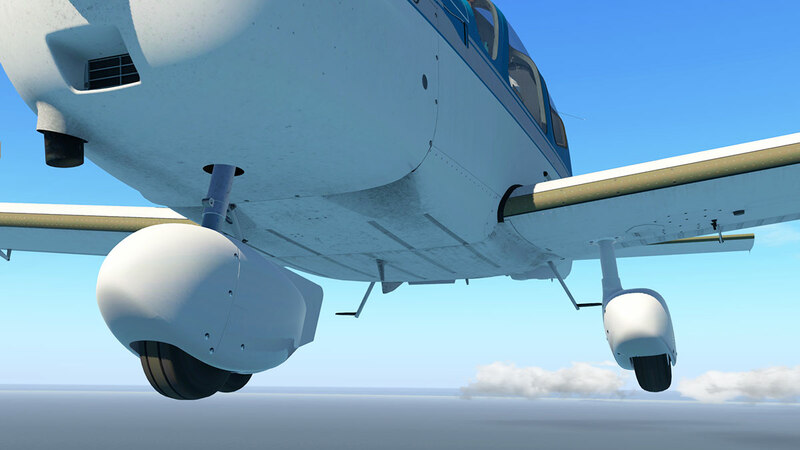 ... the wheels just don't move straight up or down, but sort of drag themselves into each position as they would on a real aircraft, hi fine detail. Construction detail of the wheel assemblies are also top-notch and beautifully crafted. 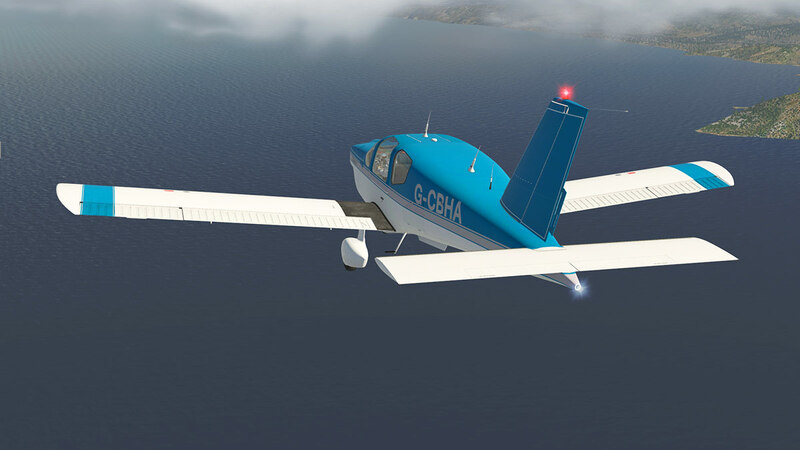 You pretty well know that an French aircraft is not going to be internally like a Cessna, Piper or what have you. There is no flat panel with instruments affixed to gaze over, but there are instead separately boxed in instrument panels with a tall centre console, it is different with the same sorta feel I have with both my Peugeots, with the same but different and it all comes with a Gallic charm. 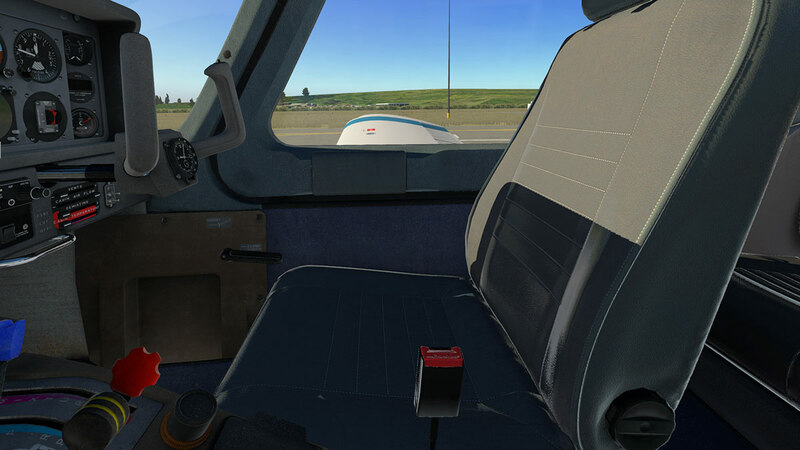 The cabin fitout is a lot of grey with a few side blue highlights, and it is nothing like the glary red internals of the Arrow, and it is all even a bit on the dull side, but it is authentic. 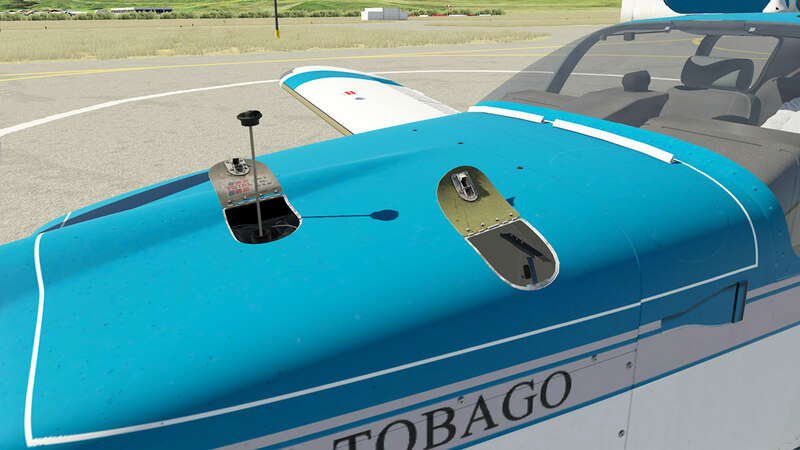 On various TB's the Instrument boxes are usually the same on the pilot's side but can be different height's depending on the instrument selection on the right side. Note the very nice clock built-in to the right yoke. 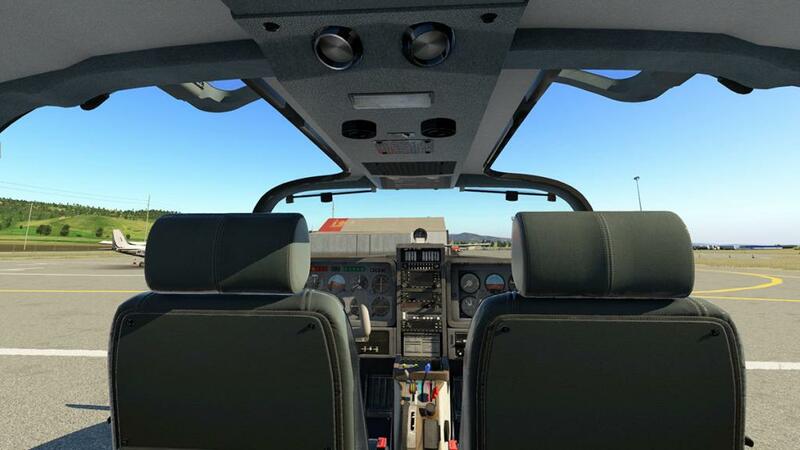 Cabin fitout is excellent and highly detailed. There is a lot of different textures on show here from plastics to moldings and cloth/vinyl covered seats. The seats are very well done, but in some lighting conditions they come across as too glossy and a bit false, a few notches down in the gloss and think they would look better, the colour again doesn't help in it being a slate grey. 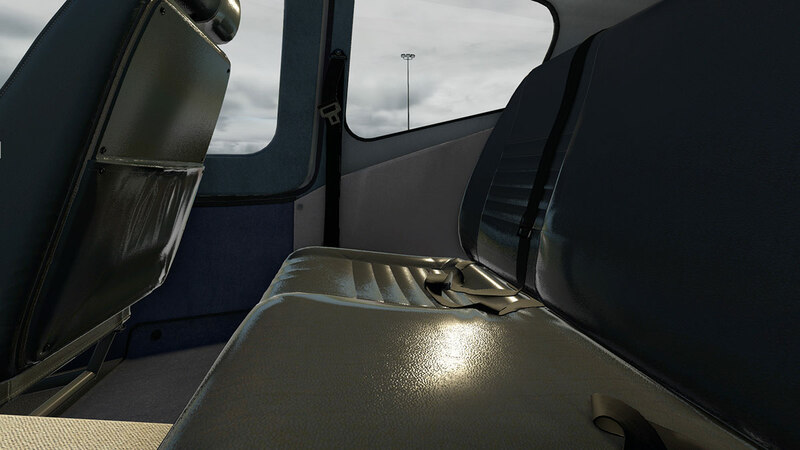 Another point is that the seat inserts I think are cloth or that velour material, but the overt gloss again sorts of ruins that effect in certain lighting angles. In the footwells the rudder pedal assemblies are excellent with just a nice touch of chrome here and there, all items like the door catches have both French and English text for authenticity. 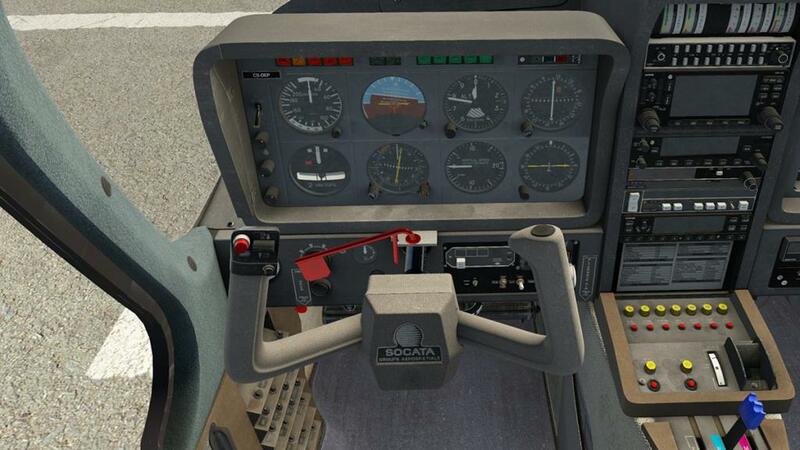 There is a sort of sportscar feel in the cockpit that is heightened by the high and long centre console, Your fuel tank switch, large trim wheel (stabliser) and Knob (rudder) with Carburettor, Throttle, Prop and Mixture levers are all very handy for use. 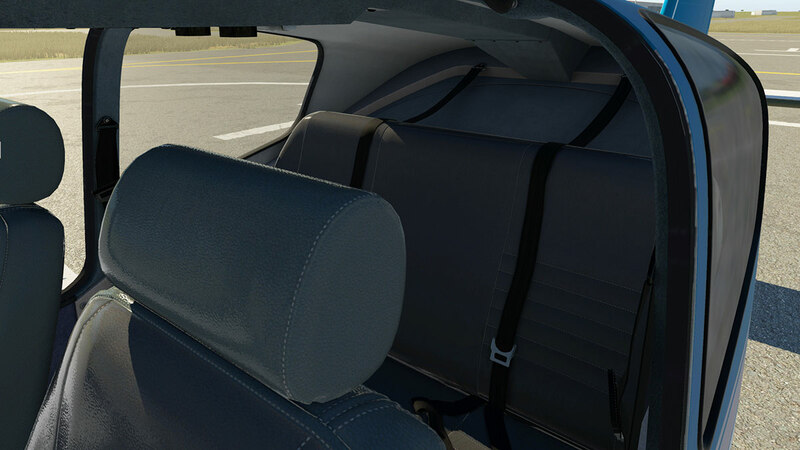 I particularly like the sticking up seatbelt locks that feel very 70's in their design. 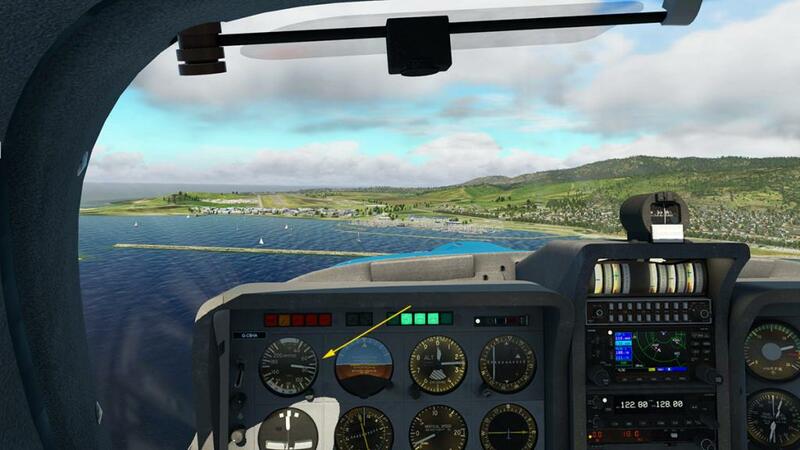 The JustFlight style menu is the tab on the left side of your screen, and you can thankfully dissolve it or make it transparent by using your scroll wheel over it. The menu is boxed of over six across to four down in choices. Personally on the Arrow I thought it looked old fashioned, but I have got used to it as it is handy and easy to use. 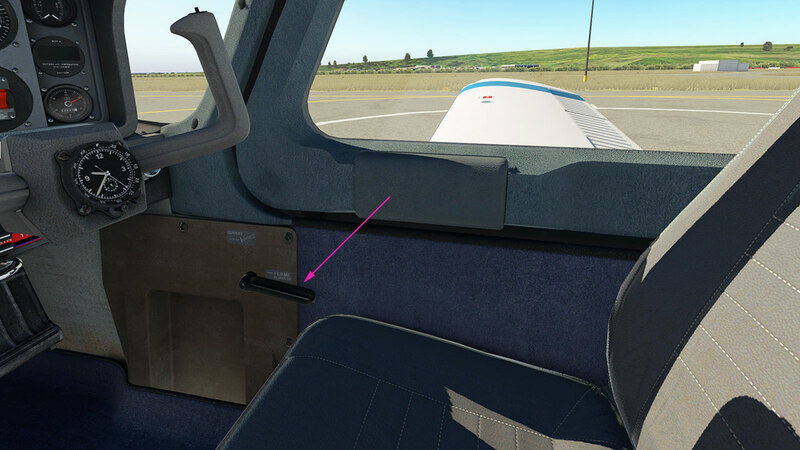 By the menu you can open both forward doors, you can also open (and close) them manually by lifting the lever (like in the Arrow), which opens the door to a gap, and then pushing it up to fully open, and just grab the door to close and then relock. 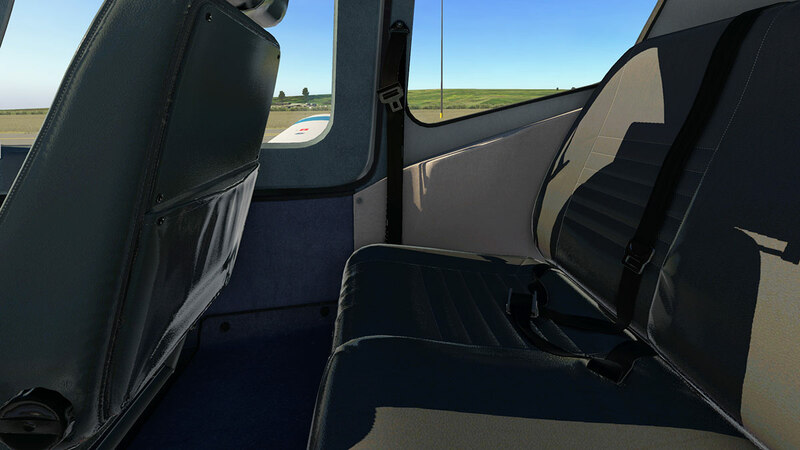 Walkaround menu items include ice fluid door and it also refills de-icing fluid, and opening Baggage door. Forward is the Oil check door and Engine inspection panel, sadly the cowling doesn't come off to see the full engine. 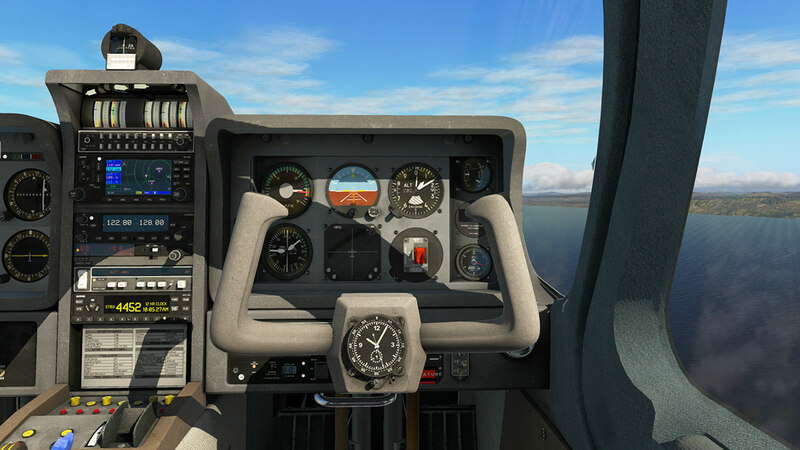 Second menu row covers GTX 330 (transponder) pop-up window, GNC 255 pop-up, GNS 430 GPS popup (or the GTN750 payware add-on by RealityXP, if it is installed) and you can toggle window reflections, interior glass dynamic reflections and instrument glass dynamic reflections. 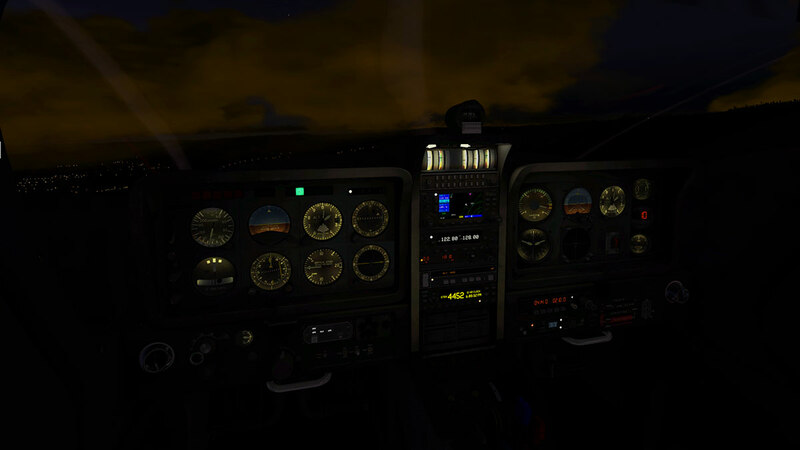 there is a clever toggle feature that I have used many times of the overhead dome light if the engine is running, or the flashlight when starting cold and dark. 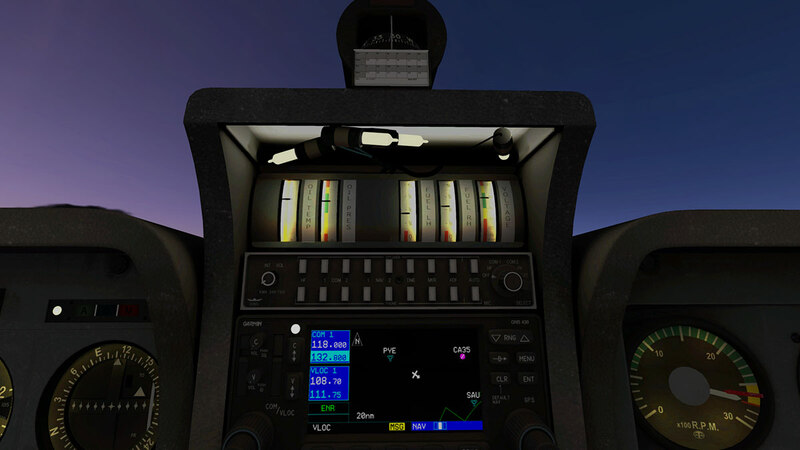 Third Menu row covers a toggle for the KAP 150 (autopilot) pop-up, toggle for altimeter barometric pressure scale between InHg and mb. 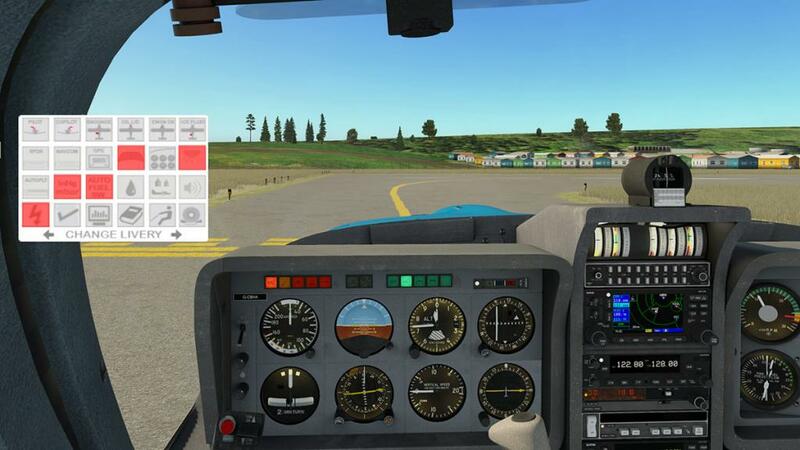 Toggle for the automatic fuel selector, which will automatically switch the fuel tanks every 20 minutes to avoid fuel imbalance, toggle for the Refill menu window... for Fuel, Battery Voltage and you can simulate Spark Plug fouling and Vapour lock. 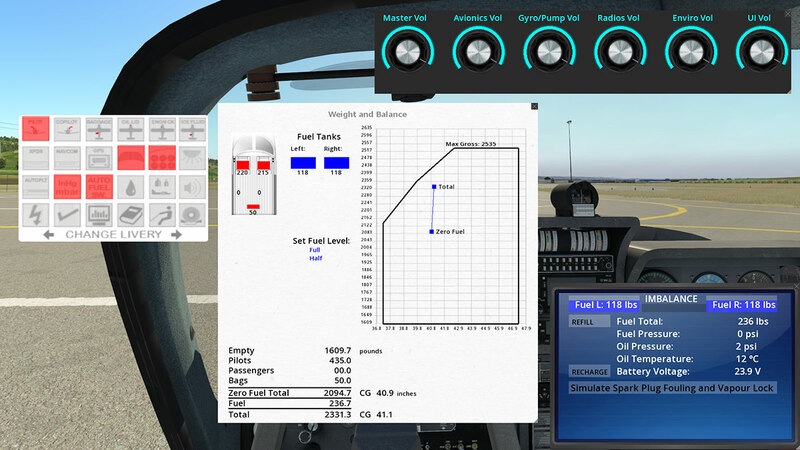 There is a Weight and Balance window (not actually on the Arrow), but it a bit basic compared to others (vFlyteAir's is excellent) but it works as you can still adjust the four passengers weights and baggage via a animated graph, Fuel can also be set and the results in lbs and inches are all listed below. 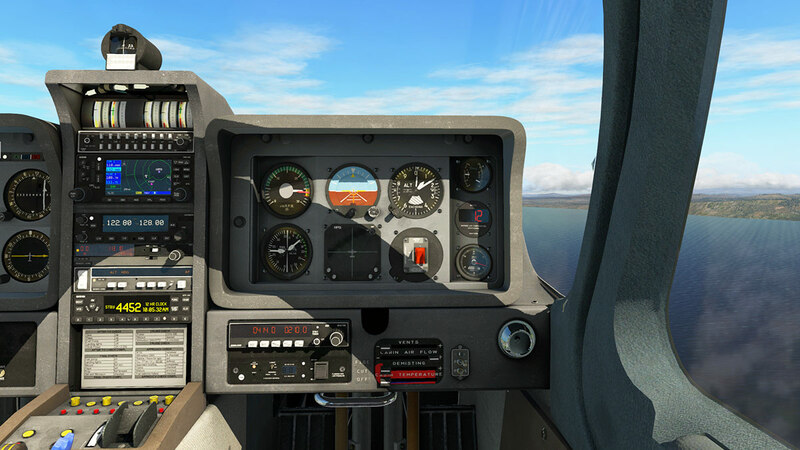 There is a sound adjustment panel that covers Master, Avionics, Gyro/Pump, Radios, Enviro and UI sound volumes and the look of the panel and use is excellent. 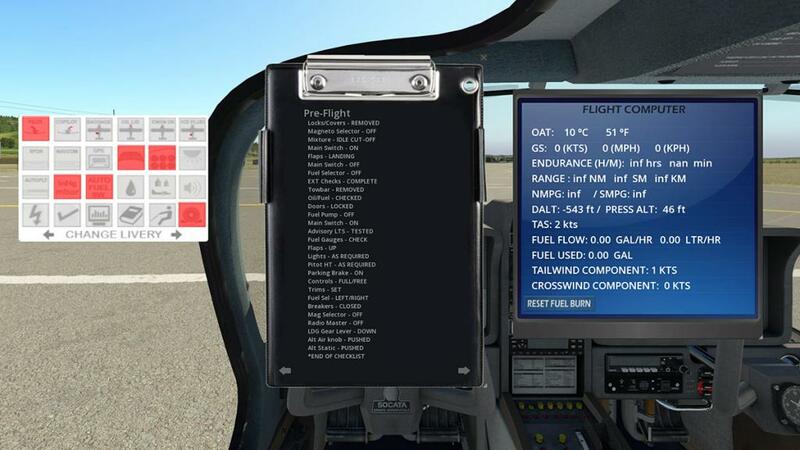 Fourth Menu row covers Quick Start (invaluable), Checklist which comes in a very nice clipboard folder, a "Flight Computer" panel is certainly very handy for longer distance flying as it shows you your fuel flow and estimated endurance and range and used fuel, speeds and wind. Like the Arrow there are two native X-Plane items in logbook and Ground handling? and the final Static Elements... 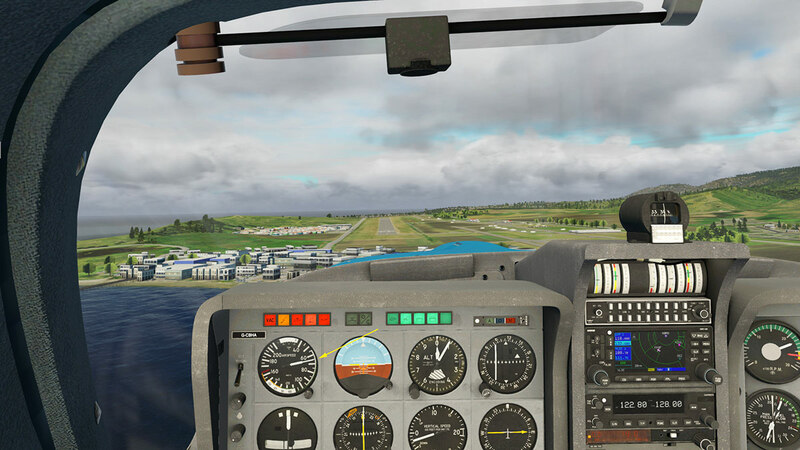 Elements include Chocks, Tiedowns, Tow bar (useless unlike the FS/P3D version which works), Pitot and Engine inlet covers and a Yoke lock (that locks the yoke but the flying surfaces still move?) and some tiedown tools (weights?) 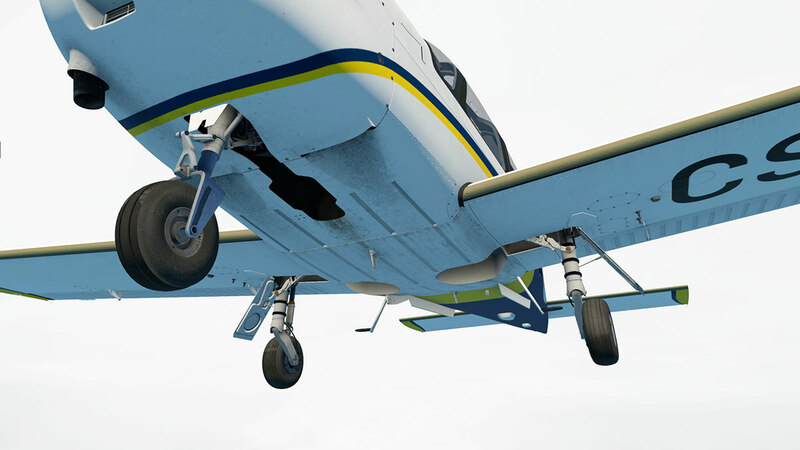 that are attached to ends of the wings. 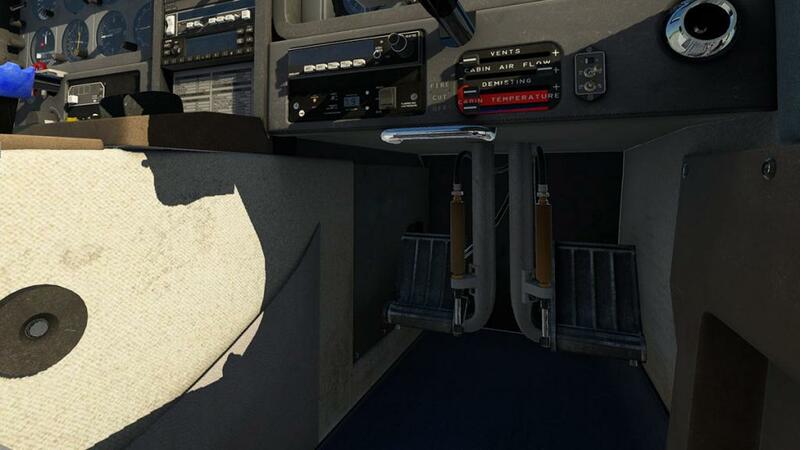 Our friendly animated pilot also goes home with the static elements activated as well. As mentioned the Menu is quite comprehensive but basic in parts and very good in others, but it is very easy to use. 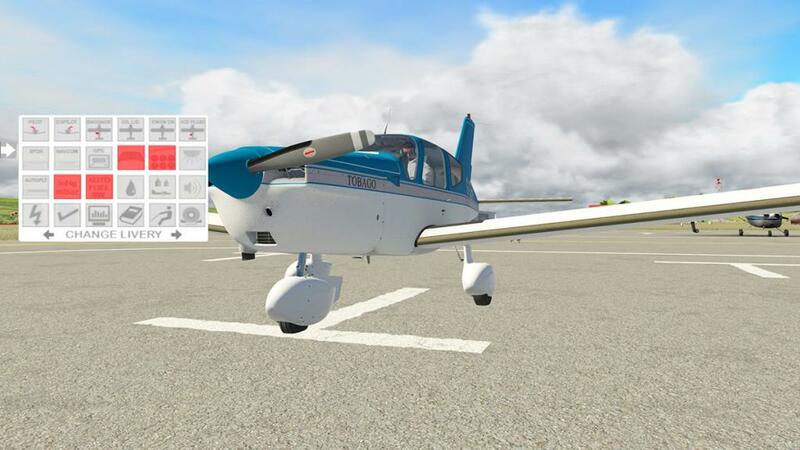 And far bottom of the menu you can change the liveries inside the plane, I prefer to use the aircraft menu because of the two distinct types of aircraft. 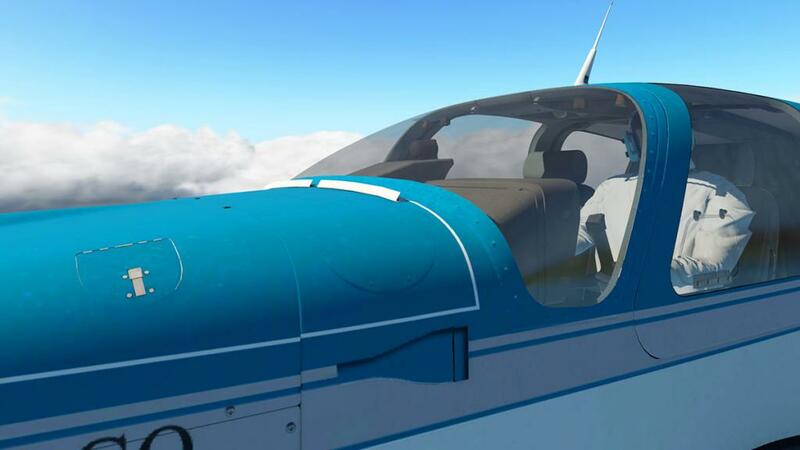 First thing to note is the slightly different panel setup's between the two aircraft. 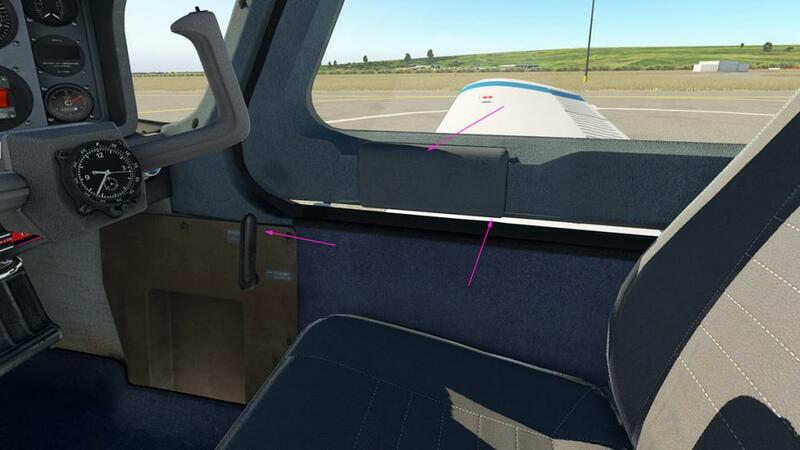 In the TC10 the lower pilot's side panel is mostly blank... 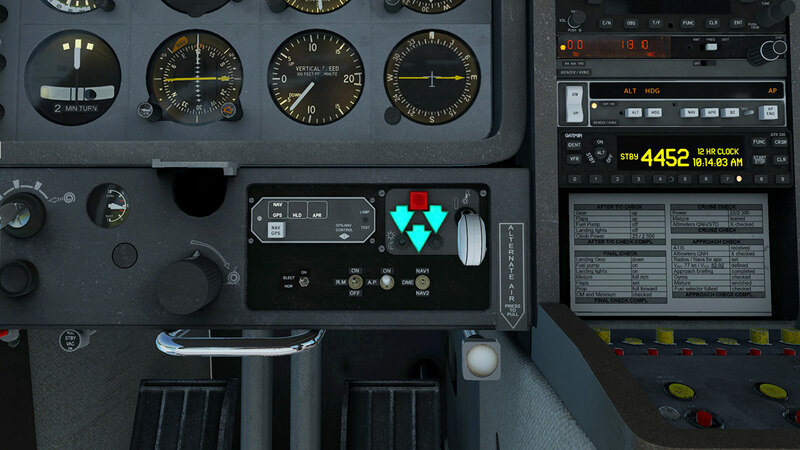 In the TB20 version the undercarriage switches and indications are set out here. 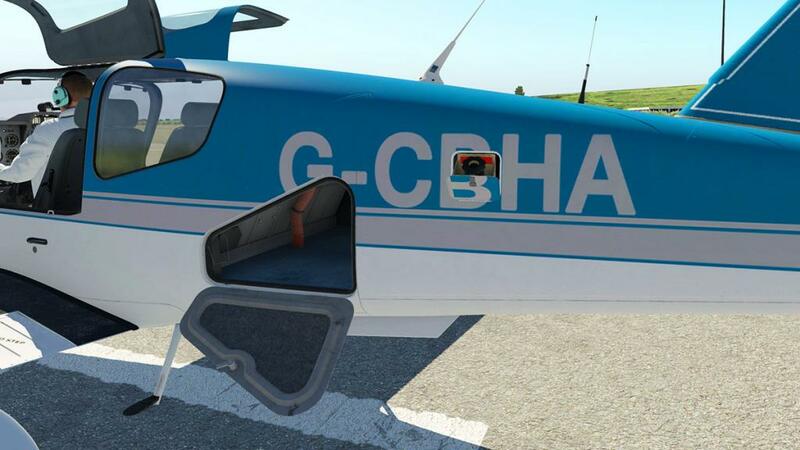 Also different is the Emergency Landing Gear control (arrowed left) and the Alternator air control (arrowed right). Warning lights top panel have three lighting situations, Green for Normal, Amber (Yellow) for Caution and Red for immediate action required. Manual notes the fuses work, but I didn't get no actual actions (they all worked on the Arrow?). The centre ALT popper (arrowed) is interesting in that the circuit breaker is calibrated at 60 amps and limits the alternator electrical load to the battery and electrical system. 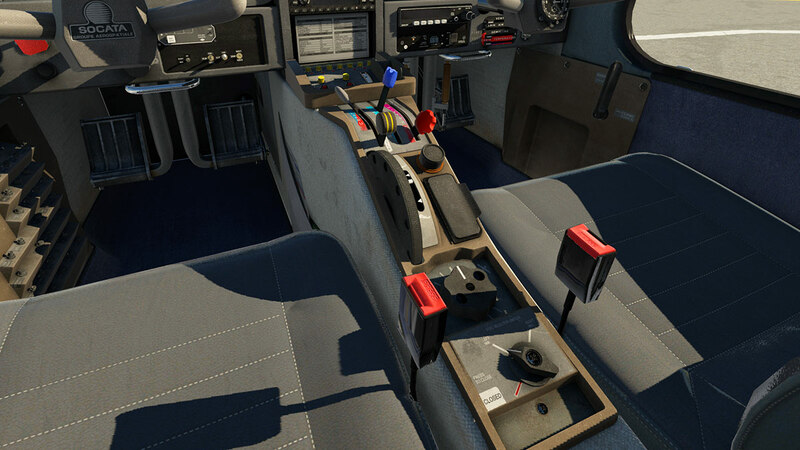 So in the event of over-voltage, the alternator control unit cuts off the alternator field and the amber warning light labelled ‘ALTr’ illuminates on the top annunciator panel. 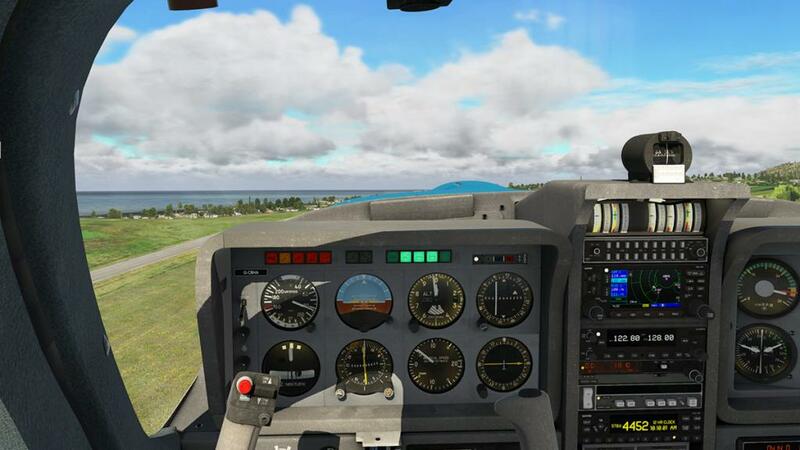 I usually set my twin-throttle (X-56 Rhino) to one lever the throttle and the other lever for the mixture for single-engine flying, mostly to control the hi-speed while taxiing in leaning the mixture. I have the same set up here, but the lean was not really required. 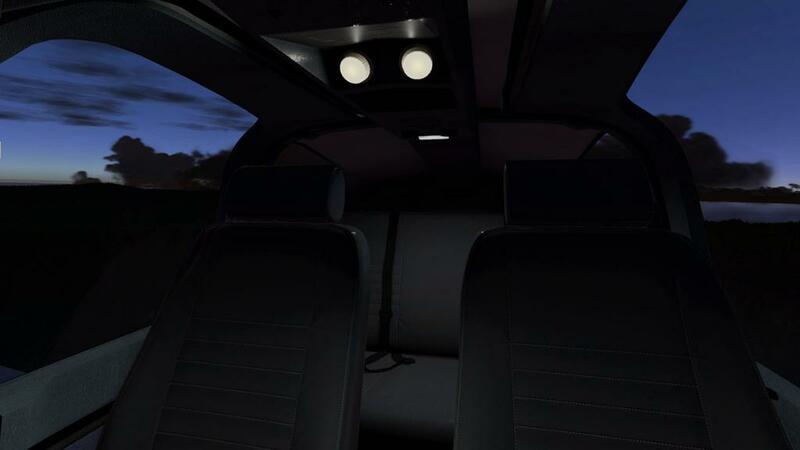 But if you do decide to use the lean, it then gives you a far wider range of speeds in the taxi so you can find the exact right speed you require. 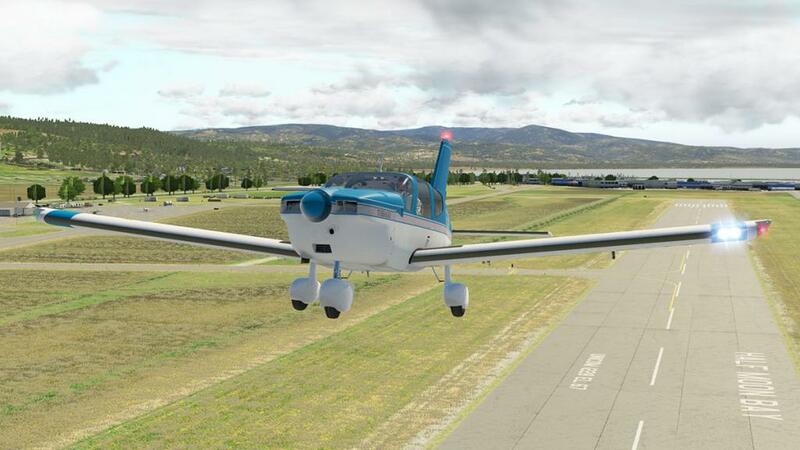 This range setup then gives you one of the most nicest taxiing aircraft in a GA I think I have used in X-Plane, you can adjust the speeds finely via the throttle to turn corners and sprint (if allowed) along long taxiways. If you listen to the sounds with the TB Series here, you will be impressed, good is an understatement, but you have to listen for the subtle more than the grandeur. A headset will help, but good bassy speakers are great as well. All sounds are 180º in spectrum, but in the startup and the adjustments of idle you will be inspired. To me good sound is the reflection of changes in your environment and of course engine tones, if the sounds match your actions perfectly you are on to a great thing in the overall realism of the moment. In most cases I have the instrument reflections switched on and still do here. 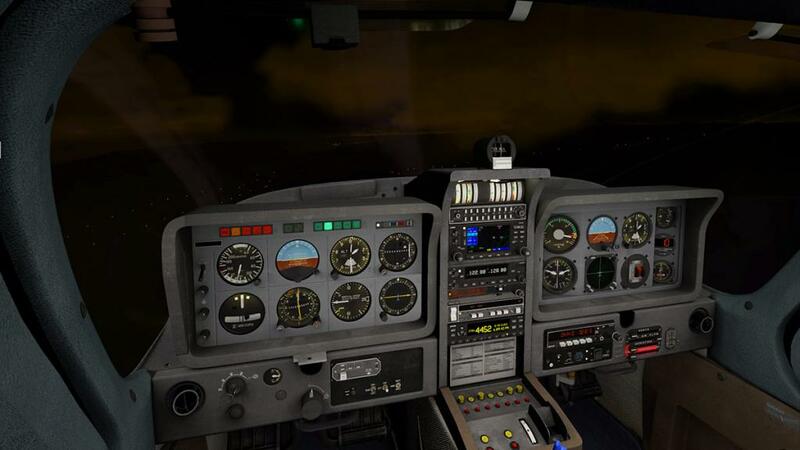 But it does create a sort of greyness across the instruments in certain lighting conditions, and it doesn't look very realistic either? 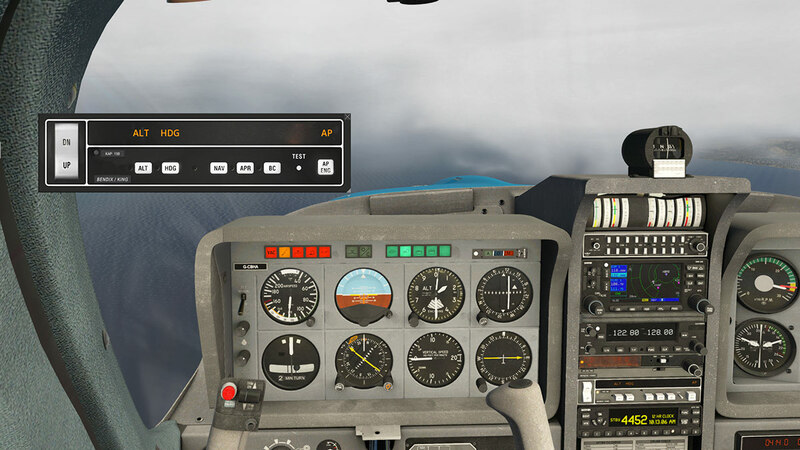 Turn the reflections off in the menu and the instruments are certainly far, far better and clearer. It is odd in that only the dials have the reflections, but it affects almost everything across the panels? 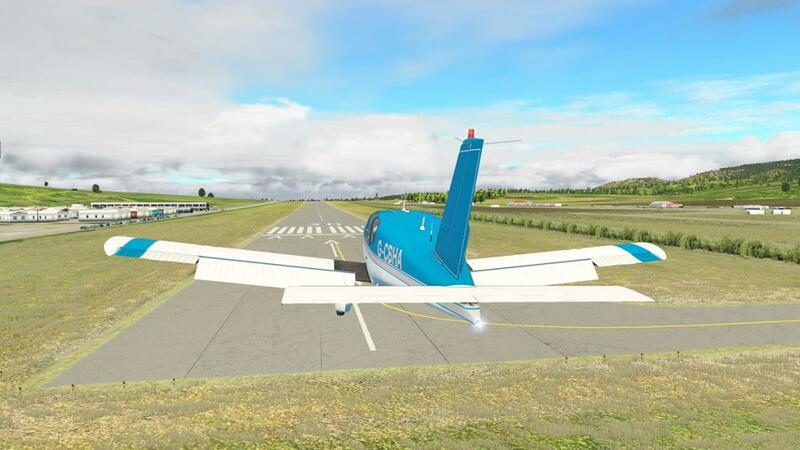 Flaps are set to "Takeoff" and it is the difference of about 20knts in 75knts to 95knts in speed if you takeoff with the flaps retracted. 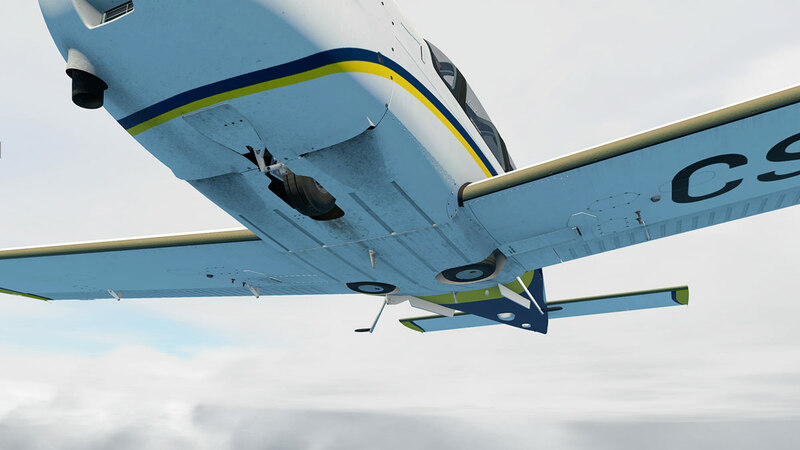 This is the TB10, so when you rotate you don't do a high pitch, but more of the same, but with just a little nose up... Those flaps do however create more of a barrier than a help with their heavy drag (the TB20 is a little better with the extra power) so in in most cases a flaps up position is a better way to gain flight. 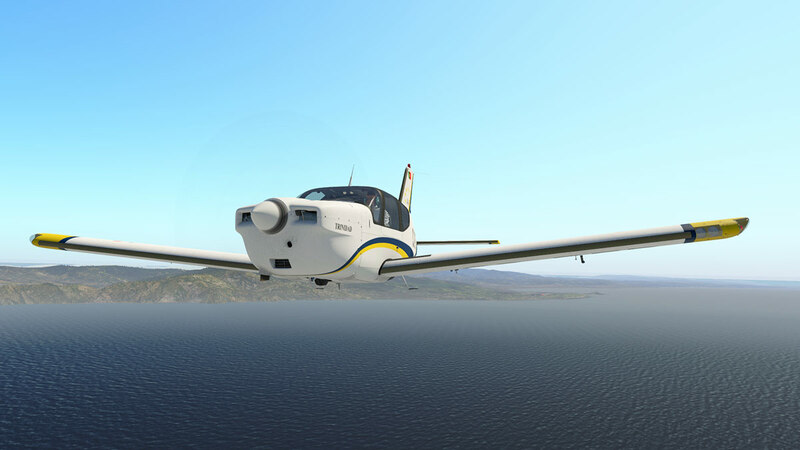 The sounds are excellent from an idle of throbbing to the drum, drum of the power required for flying, the range of aural feedback throughout the throttle adjustment is also very, very good. 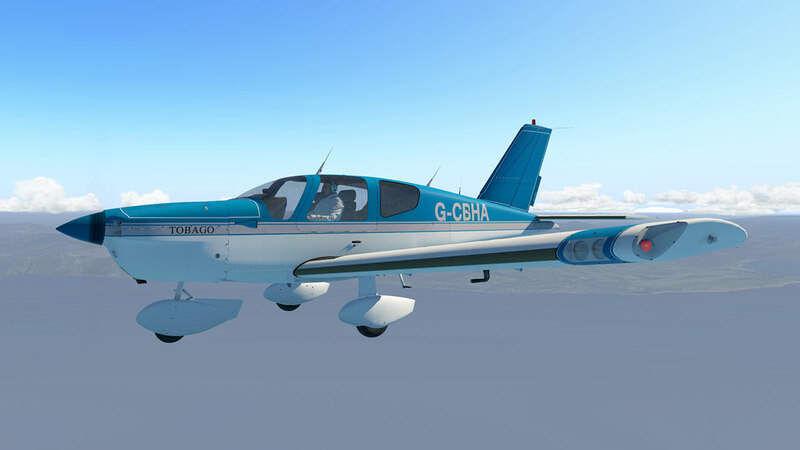 ... but what the Tobago lacks in power it totally gains in handling... it is a simply amazing aircraft to fly, light movements and the total ease of control from the moment you leave the ground, as it is a really lovely thing to be in. 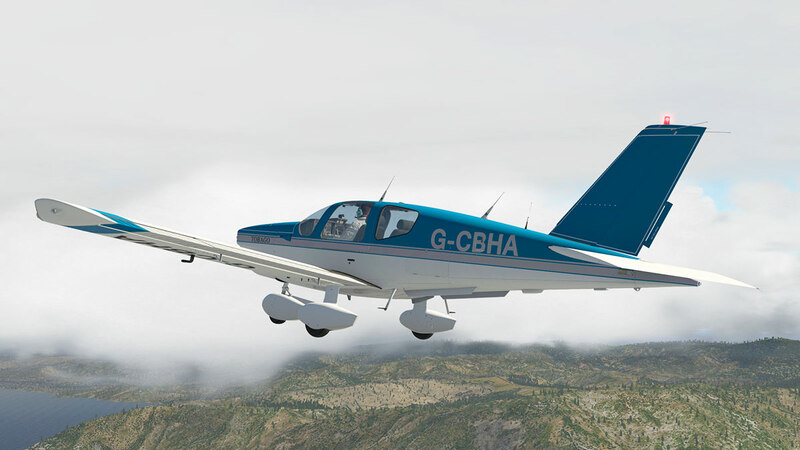 I would certainly highly recommend this aircraft for any first time fliers, it is certainly one of the best to understand and feel what a good GA is really all about. It is also quite a contrast to the Arrow lll, which by all accounts was a serious challenge to fly, a more of a "take control of the beast" rather than an easy plane to fly, but don't get me wrong as that is the major huge attraction to that aircraft as well as if you get it right it is then extremely rewarding flying machine. 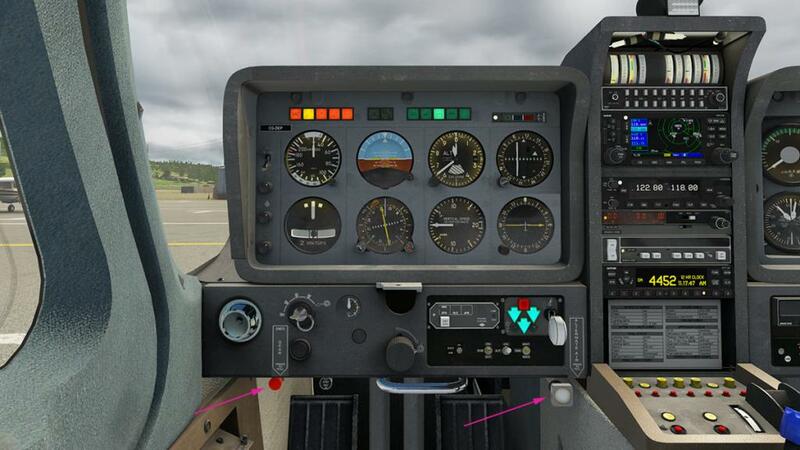 A significant point that is noticeable about aircraft from JustFlight is that setting the trim balance is very important. Again the Arrow lll was very, very sensitive to its trim, and worse the position of the trim wheel well down low between the seats made it almost impossible to adjust (I did try to set this trim on the Rhino knob, but that just made it even 10 times worse). If you set the trim correctly before takeoff in the TB series the aircraft is fine, and adjustment is far easier to manage later as well as the trim wheel is easily in your same line of sight. 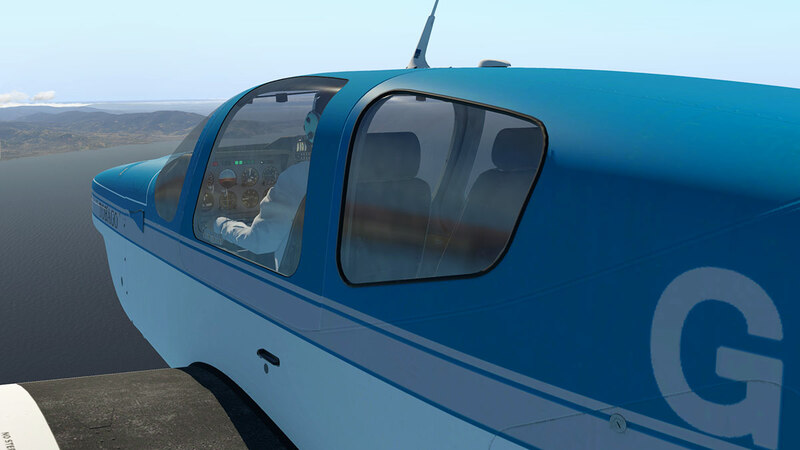 The BendixKing KAP 150 autopilot is also light-years better than the cantankerous AutoControl IIIB in the Arrow, it is far more versatile as well and easy to operate (and it pops out for use). 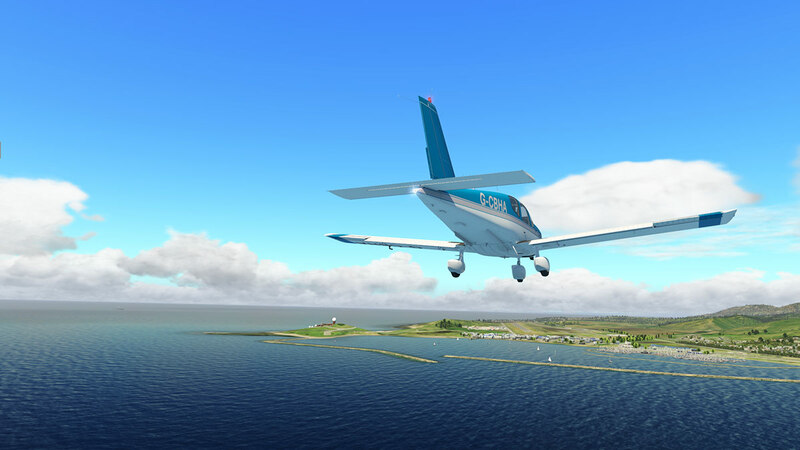 In cruise (slow in the TB10) the aircraft is a very nice pleasant place to fly, sounds are again really good, but the TB's can get a little engine drummy thrummy over a period of time, you either love it or get tired of the sound over distances (The Arrow was the same in this case as well). 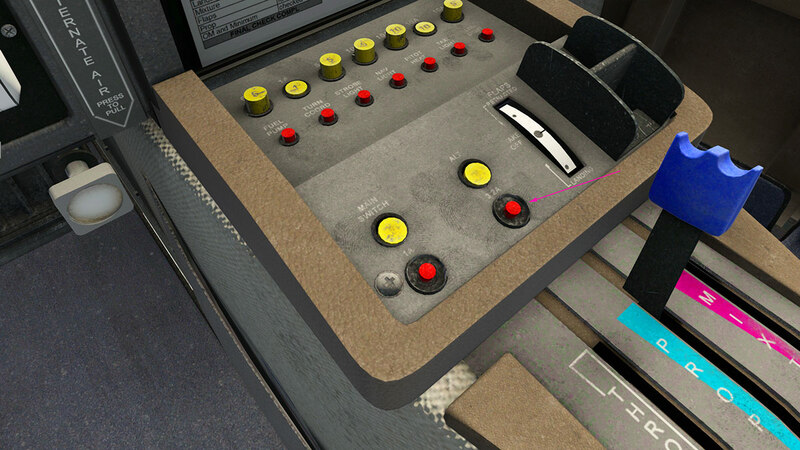 The instrument layout is quite basic, but it is still very flexible in use. 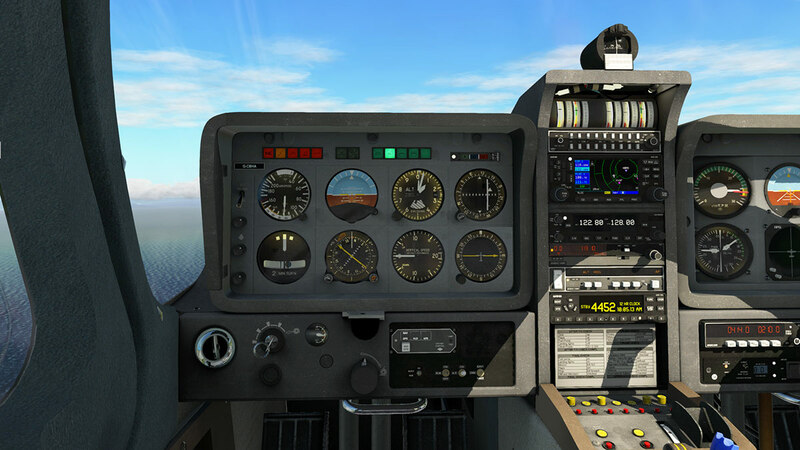 Standard Six instruments that are centred in line of sight of the flying pilot with the Airspeed Indicator, Artificial Horizon and the Attitude Indicator on the top row and the Turn Coordinator, Heading Dial and Vertical Speed Indicators set out directly below and are lovely and clear (reflections off). 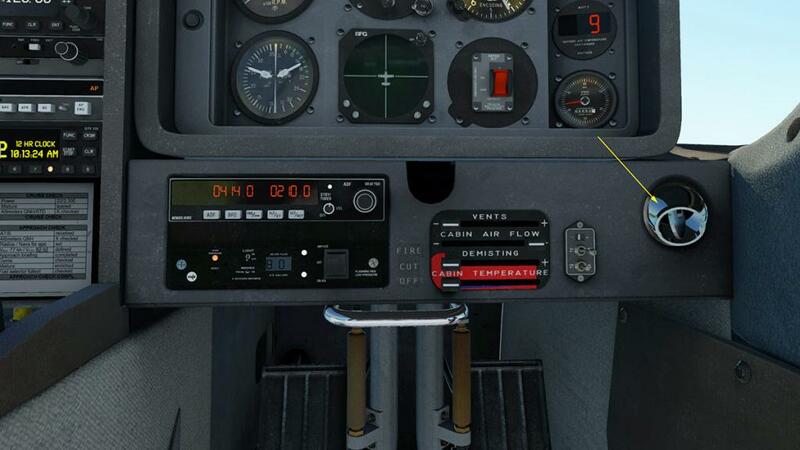 On the right top is a Garmin OBS VOR indicator (VOR2) and the same ADF indicator below. Annunciators are positioned at the top. A Giro/Suction dial is lower panel. 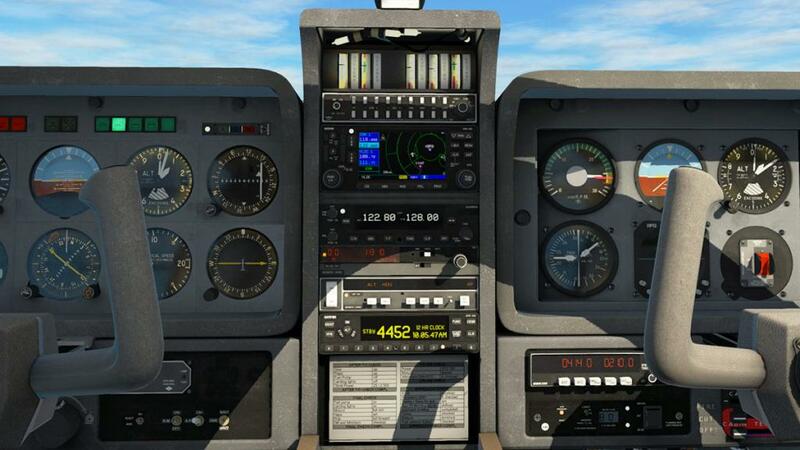 On the co-pilot's panel there is only the Artificial Horizon and the Attitude Indicator flying instruments, the others are engine or atmosphere related in two instruments that are lovely and set (at an angle towards the pilot) RPM dial and Manifold pressure (inHg) fuel flow/fuel pressure (gallons per hour / PSI) gauges. Far right is Cylinder Head Temperature (CHT) and Exhaust Gas Temperature (EGT) top, middle is a M377C outside air temperature (OAT) indicator and VDO hour meter bottom (same as a hobbs). 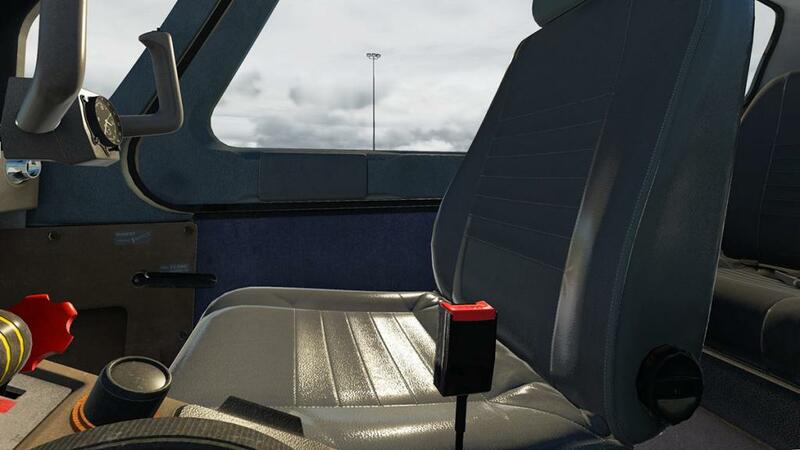 There is a Emergency Locator Transmitter (ELT) switch (active) and a Stormscope -WXR. The Stormscope doesn't work like it does the FS version as it is restricted to the X-Plane weather system, so all it really does is show crosses of the storm? How effective this all is debatable. Lower right panel is a KR 87 – ADF set and a very comprehensive TKS – ice protection panel that has windshield de-ice (fluid) with default propeller and structural de-ice systems, but you have to make sure you keep your fluid topped up, the amount left (US Gallons) is shown on the panel. 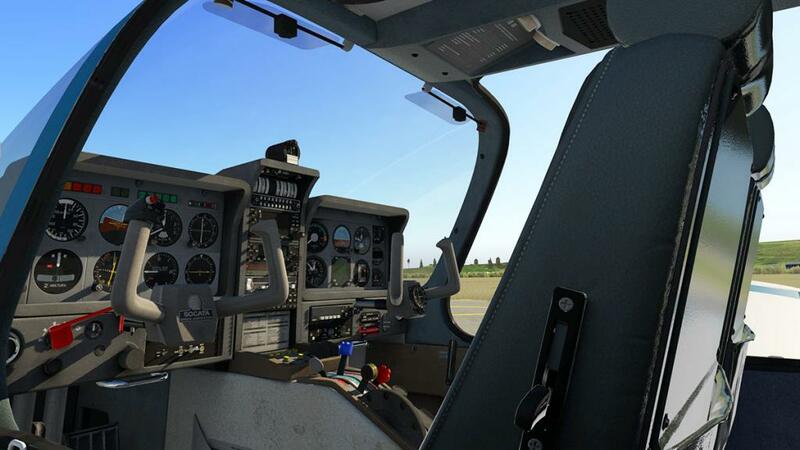 Cabin environmental panel is also active and effective. The lovely chrome vents are animated by both the outer and inner adjustments (arrowed). 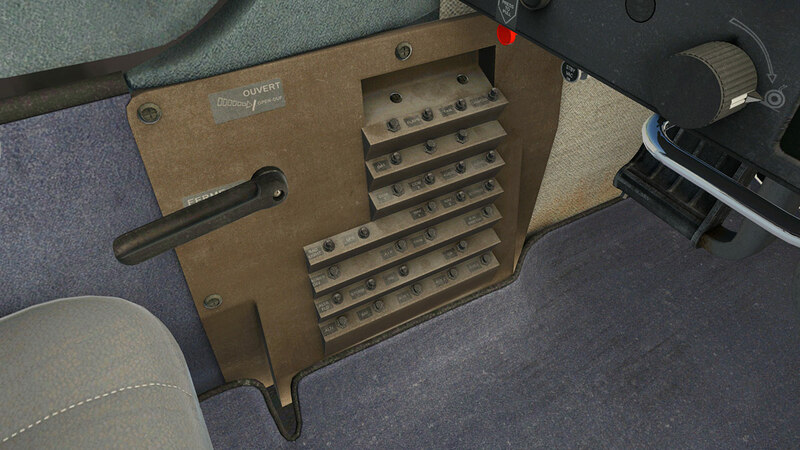 Top of the tall centre console is a pointer marker readout panel that covers (L to R) Oil temperature and Oil pressure indicators (L & R) Fuel tank quantity indicators and a Voltmeter, very distinctive it can be hard to read in daylight, but it is very authentic. 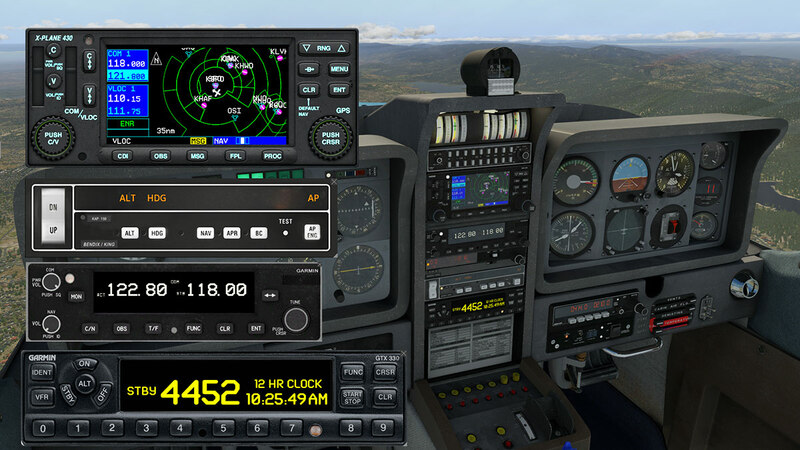 Lower in the equipment avionics stack is a KMA 24H audio control panel, Native XP GNS 430 GPS / COM 1 / NAV 1 unit (or if required RealityXP GTN). 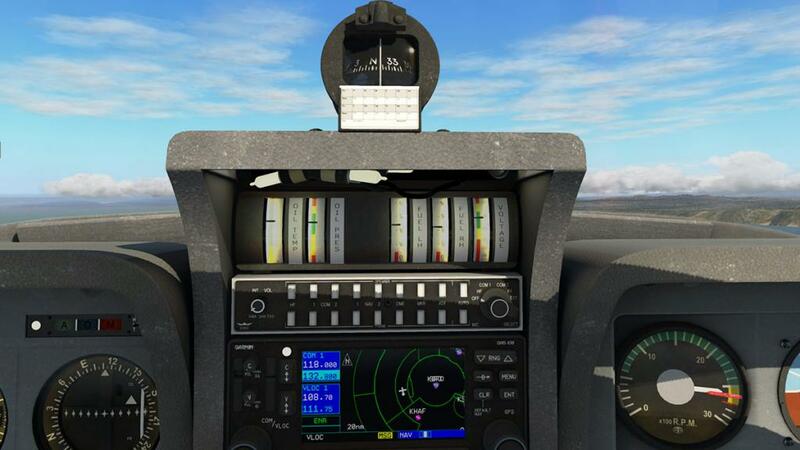 A Garmin GNC 255 COM 2 / NAV 2 unit, Benedix/King KN 62A DME unit, Benedix/King KAP 150 autopilot unit and bottom a GTX 330 transponder unit. 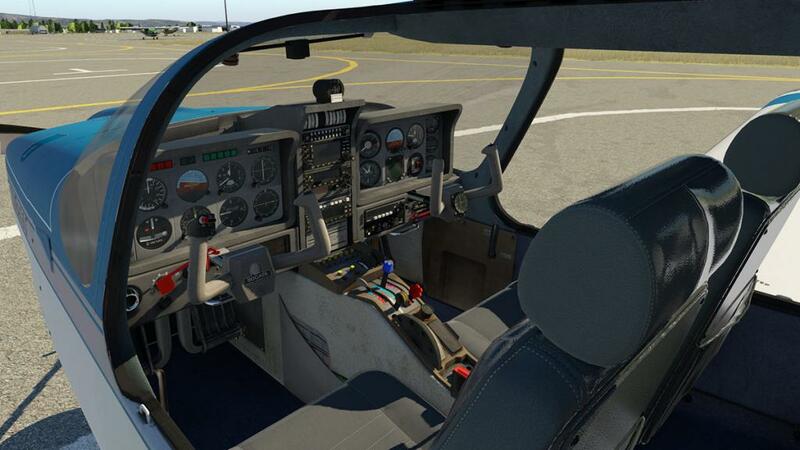 So the TB Series are both well equipped with gear and all the main avionic panels pop-out. 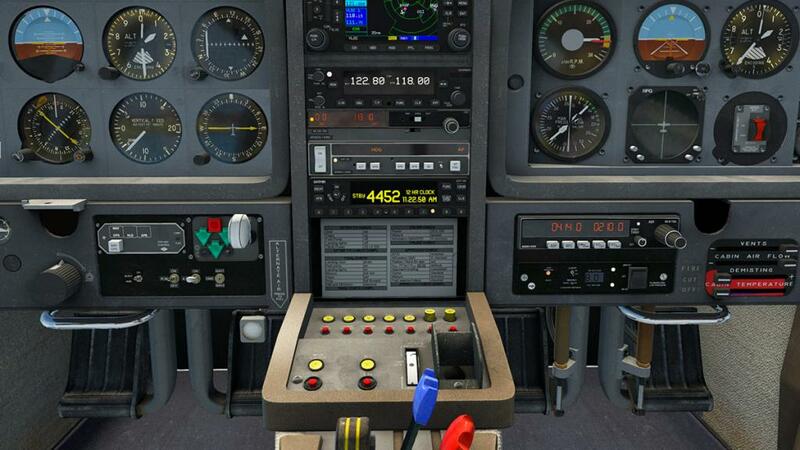 Lower left panel are switches for NAV/GPS toggle button, Electrical attitude indicator (AI) power, Radio master switch (avionics), Autopilot power switch and DME NAV 1 / NAV 2 selector that selects whether the GNS 430 or GNC 255 is used as the input to the KN 62. 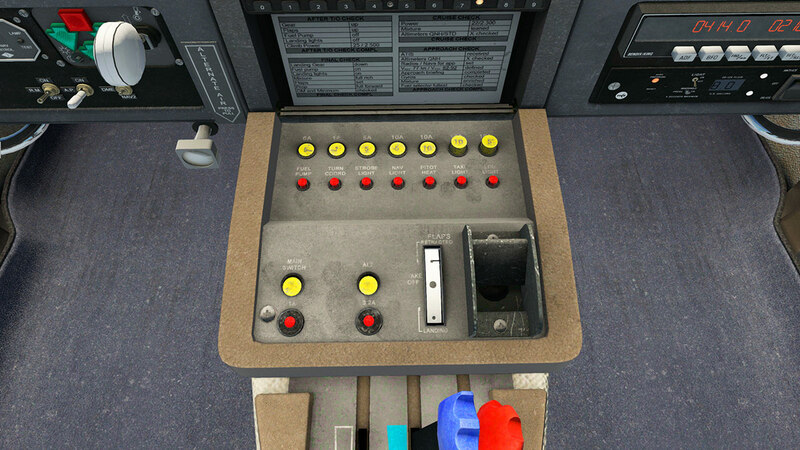 (TB20 panel is shown with gear selector). Arriving back at KHAF and lining up on RWY30.... then speed control is essential with the TB Series, as the aircraft are well known for their poor low speed capabilities, but that doesn't mean they are not stable in the lower speeds, in fact I found it a nice platform if you stick within it's constraints. 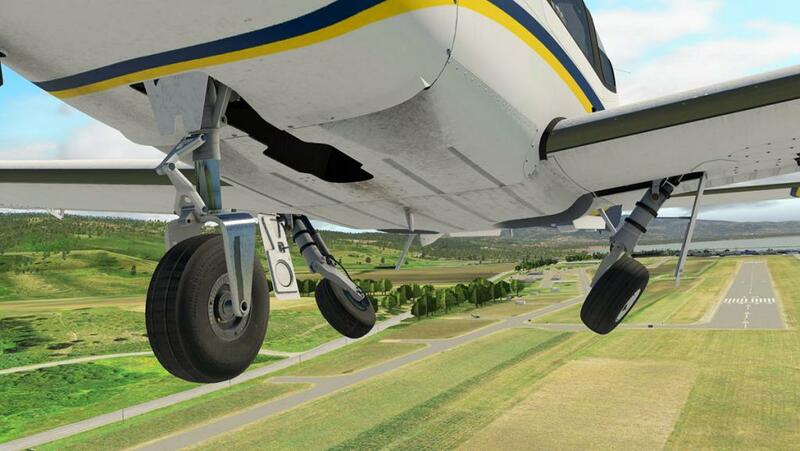 ... but try to be over smarty and drop the flap to "landing" too early or too fast and you will hit a brick wall as the aircraft will easily gain two hundred or three hundred feet in a moment and enough in height to tatally ruin your perfect approach. 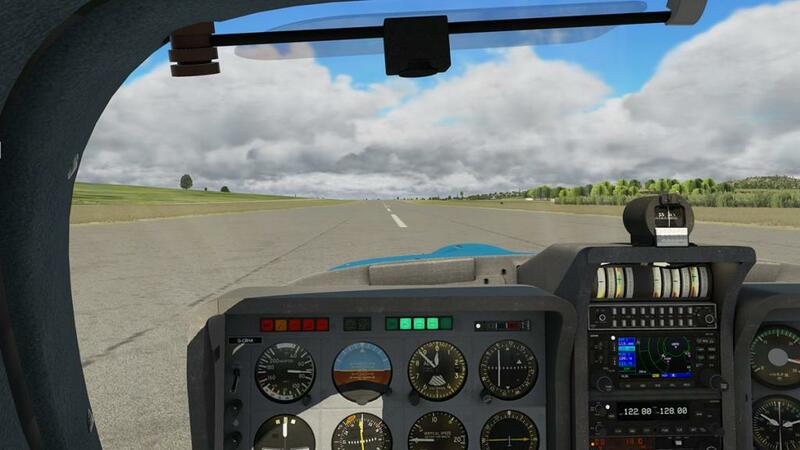 And that final flap positioning is also very draggy, draggy and almost arrester wire stall in effect, real stall noted is 53knts (keep it just slightly below 60knts) and you just don't want to go there. 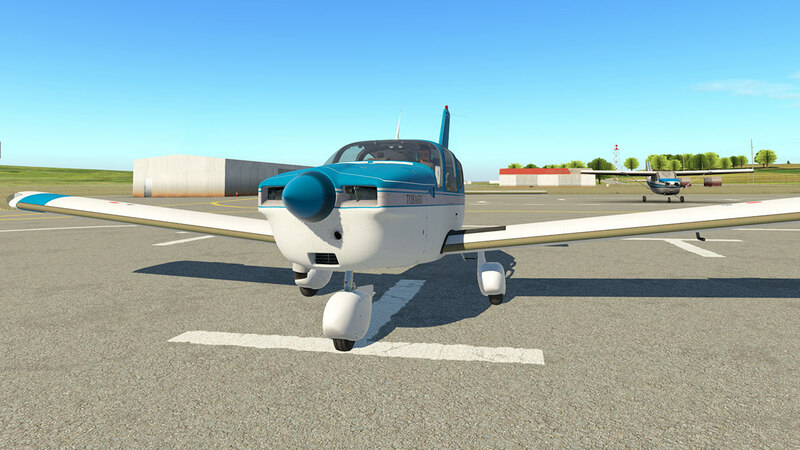 Throttle control is now everything in keeping and losing height, but I have done a few landings now in both variants and have had a simply perfect landing every time with perfect throttle control. 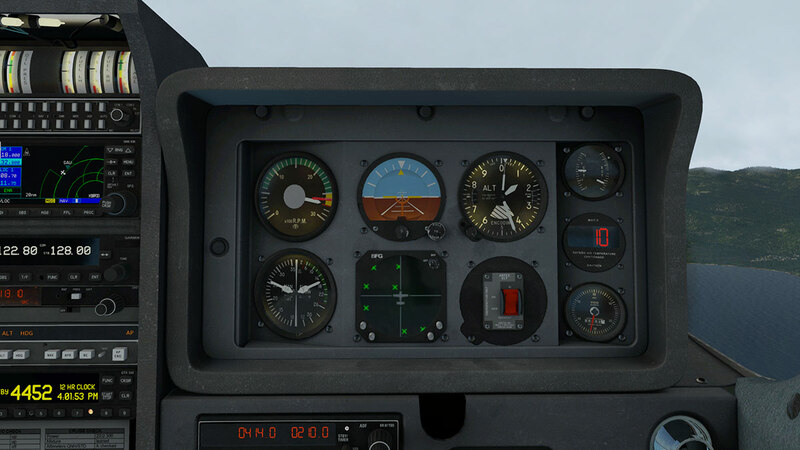 The top marker gauges are lit by hanging bulbs, which is really well done, they are connected however to the main instrument lighting adjustment knob which means you can't have bright instruments without the bright bulbs. There is a roof light for the rear that is switched on via a roof switch. There is a blank for each variant, then five liveries again for each variant, all are very high quality 4K designs with a nice spread of registrations. 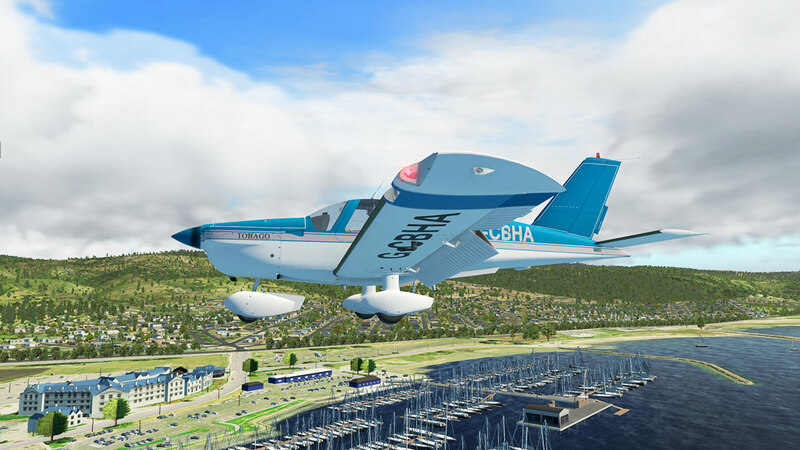 The release of JustFlight's/Thranda's Arrow lll series lifted the bar and price of general aviation aircraft into X-Plane. 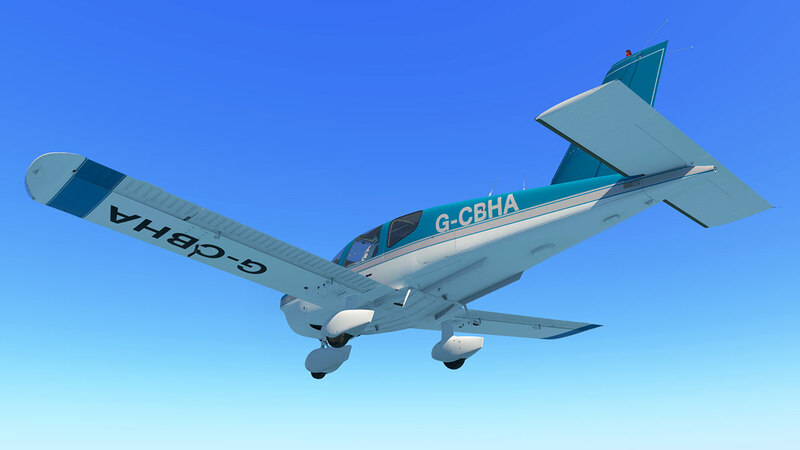 It was and still is a very good aircraft, but it did come with a certain convoluted aspect in that it was and still is only for the most skilled of fliers who could fly it really well. 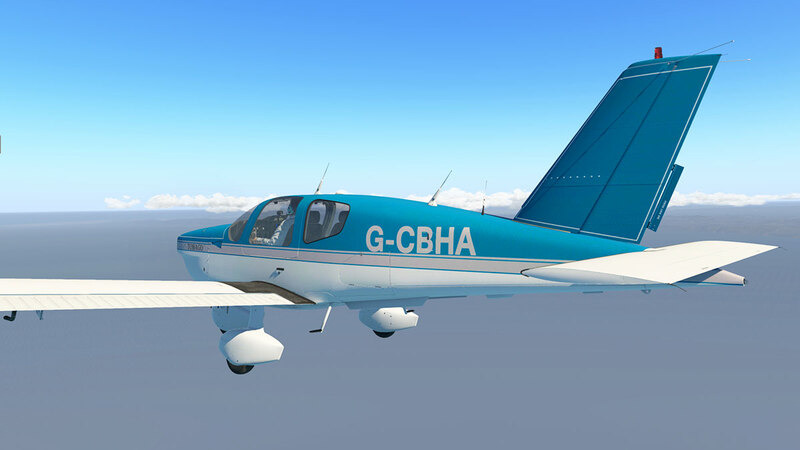 This Socata TB Series is really the totally opposite of the Arrow lll in that respect, as it is very easy and a really lovely aircraft to fly and highly accessible to early fliers and learners to get the feel of a high grade GA aircraft without all the sheer complexities that is involved with flying at that level. 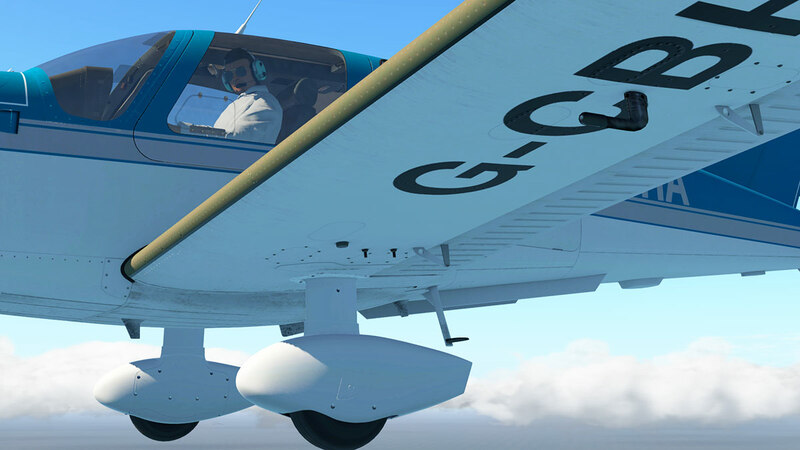 Only point to master however is the very forceful drag from the flaps, one position is so called easy, the down full position is harder to master if you are new to this aircraft flying thingy, but otherwise the aircraft is a total gem. Detail and feature wise then the Scoata twins are packed with everything you desire, but they are not cheap either, at least in this case you do get two interesting variants for the single price, and a very nice pair they both are. 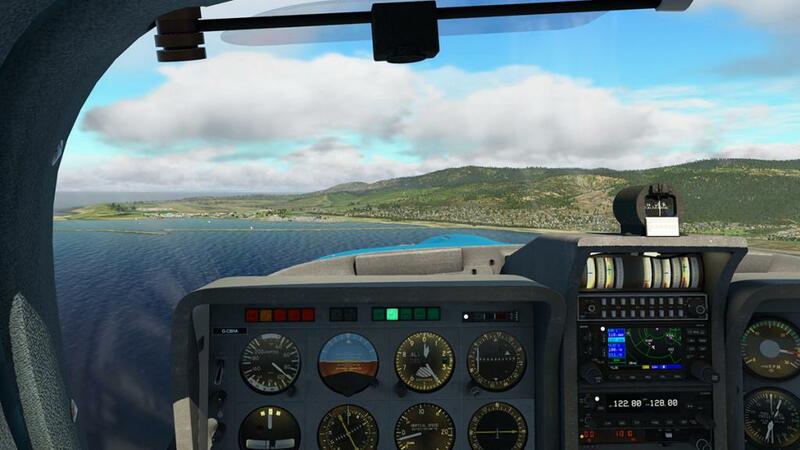 I have gotten used to the JustFlight vintage style menu system, mostly because it is very accessible and easy to use, but it still looks out of date compared to a lot of others. A lot of the quirks that annoyed in the Arrow lll's have been addressed here, this includes the resizing of pop-ups, Weights&Balance manager (if basic) and the Autopilot is far more easier to use and has more functions. The interior is not at all as dramatic as the Arrow lll's red overload, and in some views even a little bland as the textures are very hard to reproduce, the greyed out colour scheme doesn't help here either, but it is all very well done and looks authentic in most lighting conditions, a more darker grey contrast may have helped more out in like there is on the real designs. 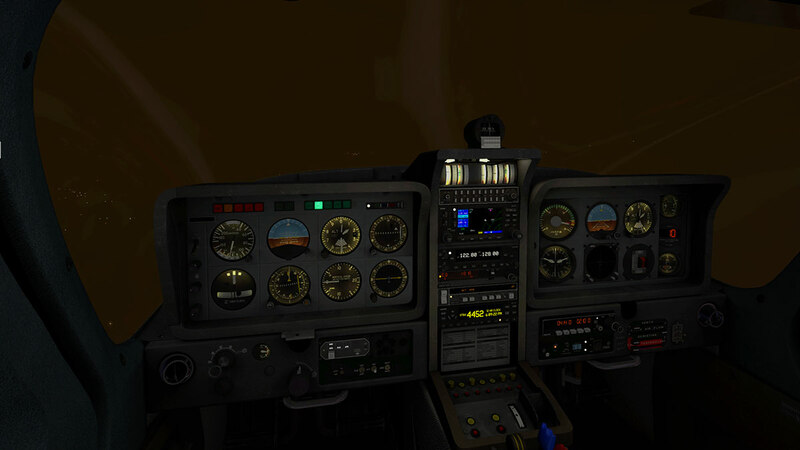 The instrument reflections bland out as well in certain lighting conditions and the seating is too glossy as well, and so overall the cockpit environment could have been a little more realistic compared to the overwhelmingly excellent Arrow interiors. Sounds are simply first rate with 3D audio effects in complete 180º, and with atmospheric effects, and adaptive Doppler effects, but overall it is the total realism that comes through, though the drum, drum in cruise could get boring even if it is perfectly real. Of course the pick is always going to be the TB20 of the pair. 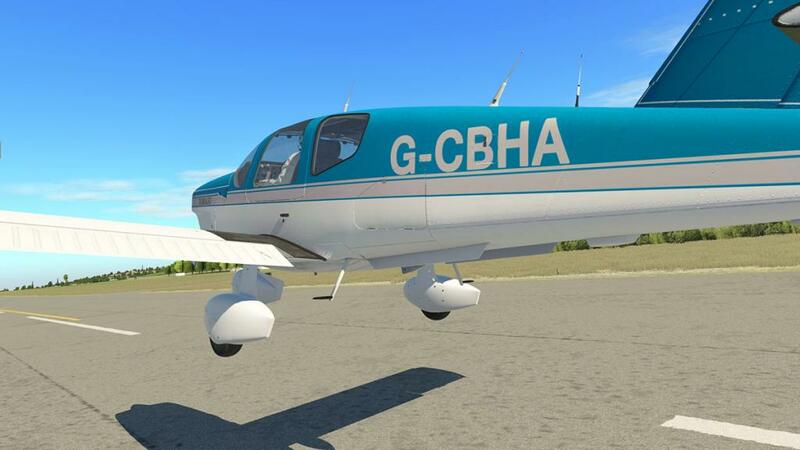 It is a lot faster, climbs far quicker and has a far better range, but in reality both aircraft are a lot of fun in the air, and ultimately that is their real attraction, They are just simply great aircraft to fly in the air and taxi around on the ground, quality costs of course, but certainly these French twins really deliver... Highly Recommended! Download of the TB Series is 642mb and it is installed in your General Aviation Folder as a 807mb folder.